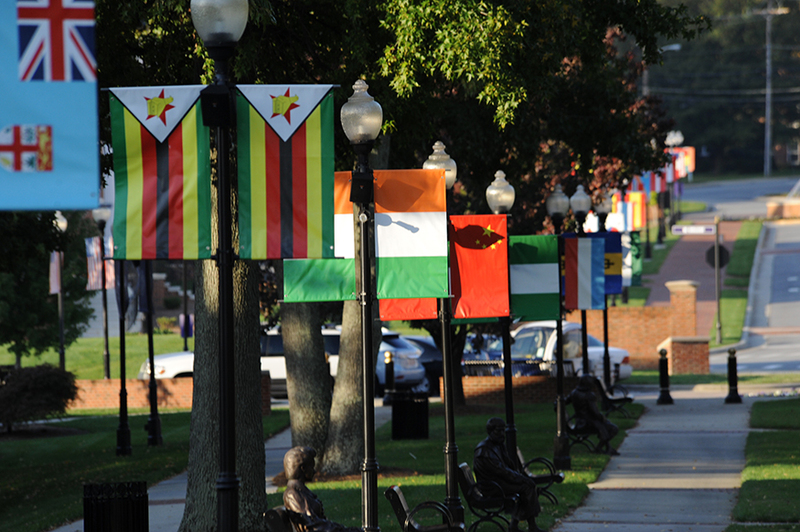 The Gene and Jane Kester International Promenade is lined with the international flags, which represent the dozens of countries that make up HPU's student body. 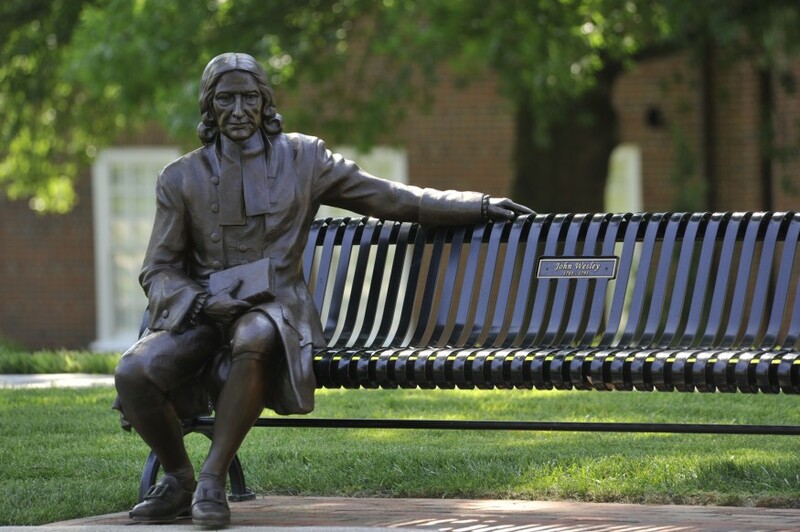 An "outdoor classroom," the promenade also features wireless internet service, classical music that plays throughout the day, and 20 sculptures of famous historical figures that are found along many of the promenade benches. 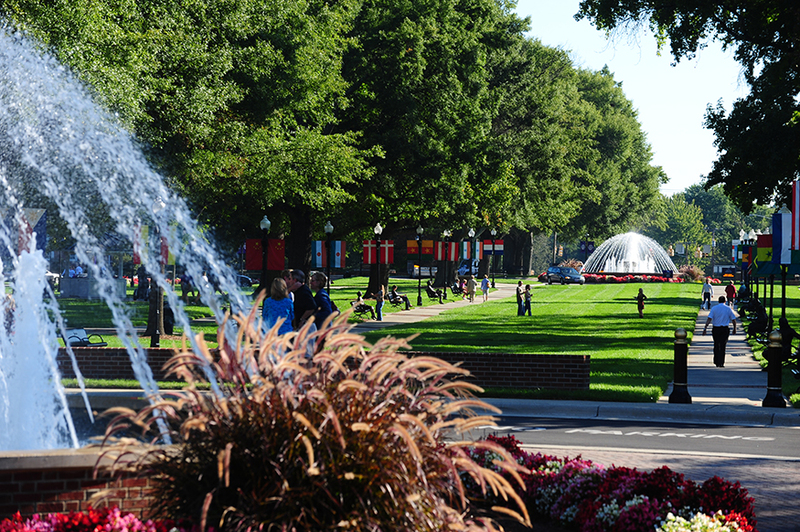 The Henley and Finch fountains prominently anchor the both ends of the promenade. 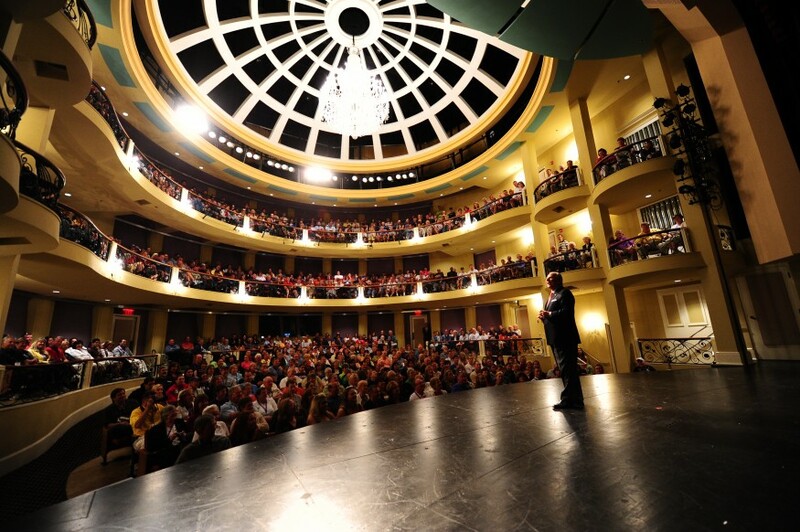 Charles E. and Pauline Hayworth Fine Arts Center is home to the David R. Hayworth College of Arts and Sciences. 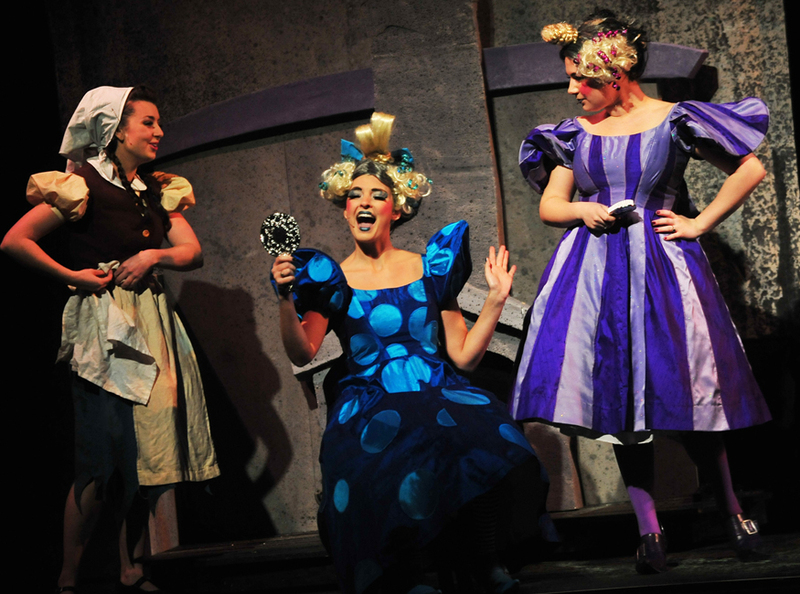 This state-of-the-art building includes a 500-seat performance hall, music lab, art gallery, dressing rooms, costume shop, art studio (printmaking, painting, drawing and photography), dark room and faculty offices. 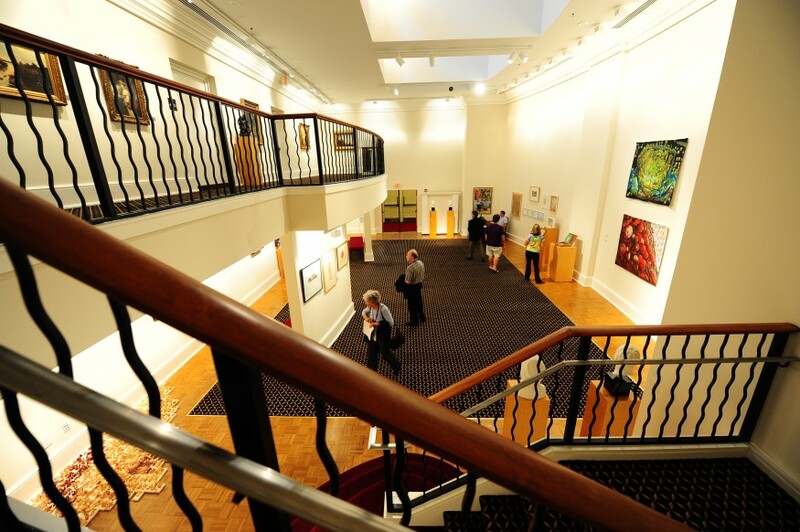 The Sechrest Art Gallery houses permanent art collections including an El Greco original oil painting. 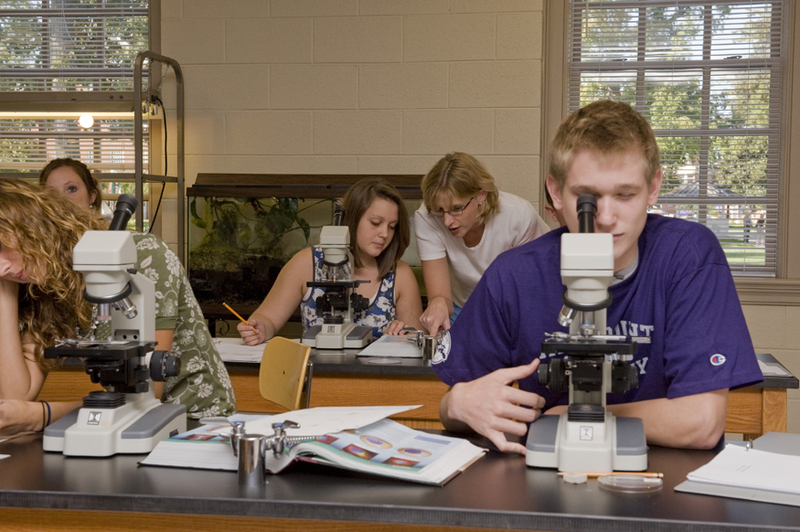 Couch Hall is home to the Departments of Biology, Chemistry, Physics, Mathematics and Computer Science. 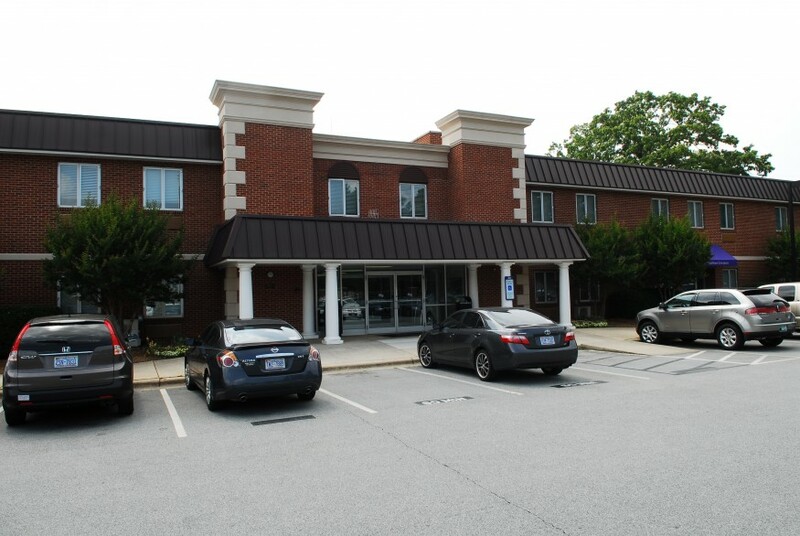 The original building received a 25,276-square-foot addition, bringing total square footage to 66,588. 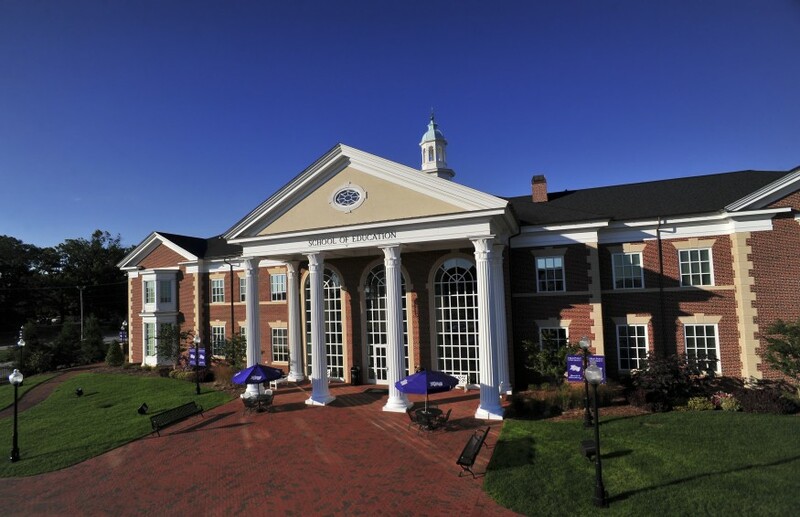 The Nido R. Qubein School of Communication is a 60,000-square-foot building that features high-definition television studios, audio recording studios, editing suites, computer labs, a screening room, a gaming studio where interactive games are created and tested, a radio station, the HPU Polling Center, and more. 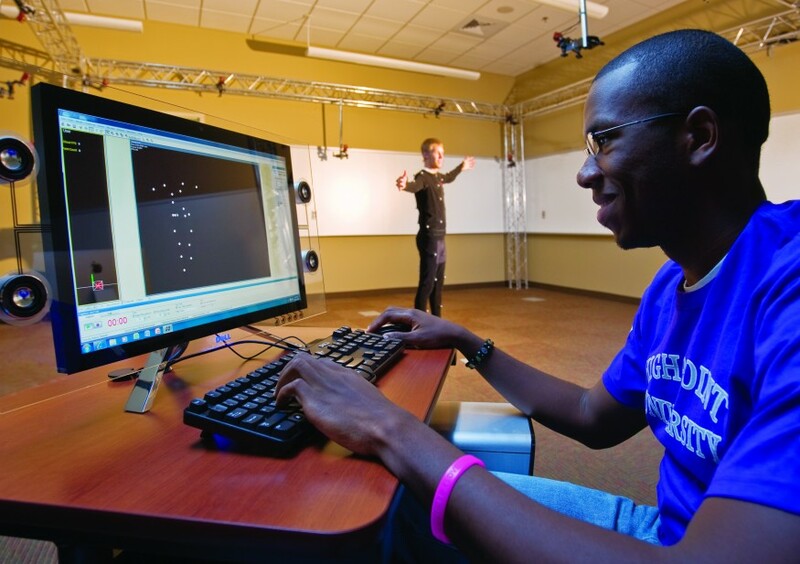 Undergraduate majors include Event Management, Game and Interactive Media Design, Journalism, Media Production and Entrepreneurship, Popular Culture Studies and Production, Sport Communication, Sport Management, and Strategic Communication. 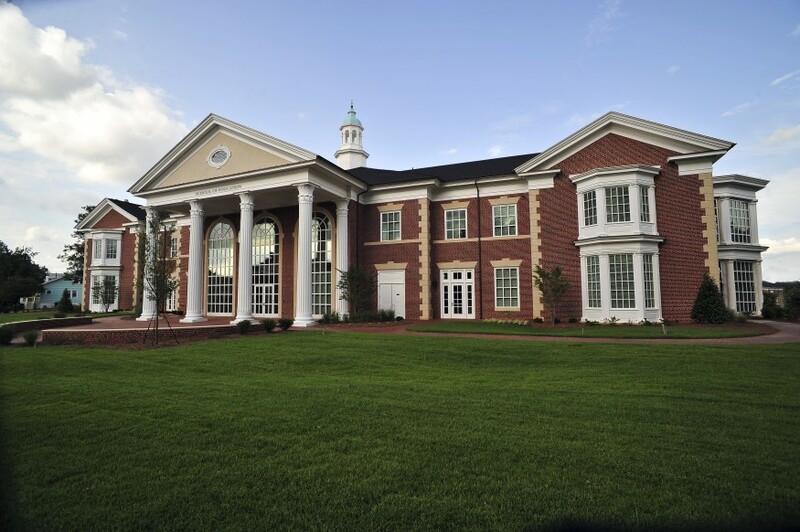 The School of Education is a 30,000-square-foot building featuring Georgian-style architecture. 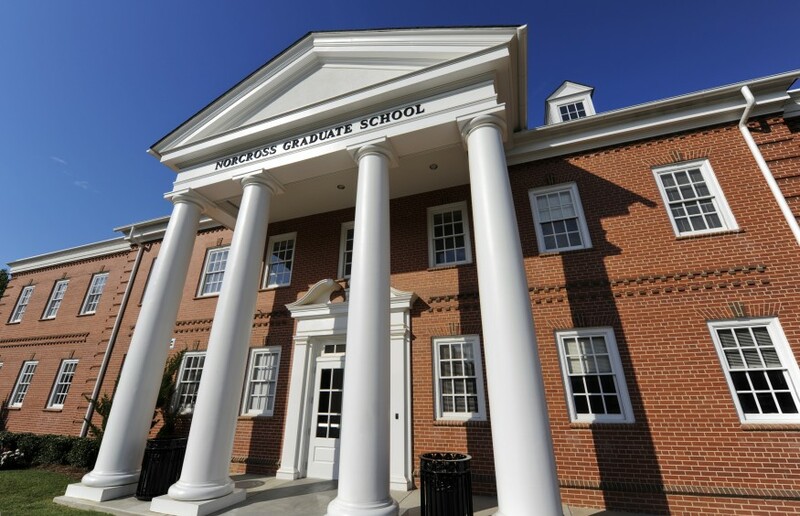 The building is home to the education and psychology departments. 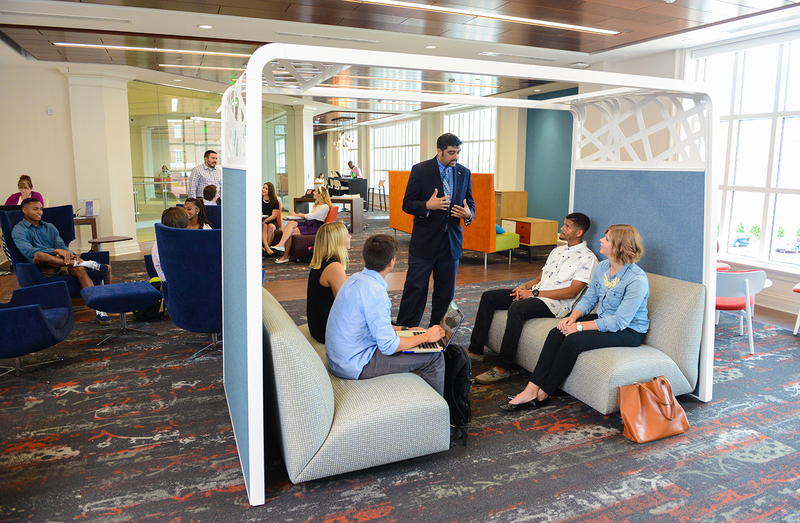 The space features technologically advanced classrooms, computer labs, a resource center, library and study lounge. It's also constructed to meet LEED (Leadership in Energy and Environmental Design) certification, which is a rating system for "green" buildings. 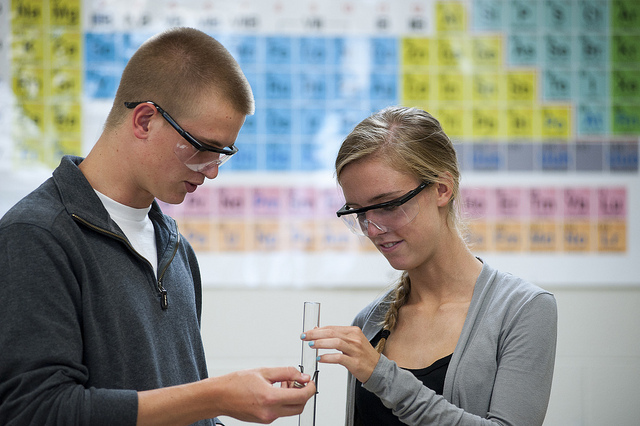 The school holds accreditations from the NCATE, assuring quality teacher education programs. 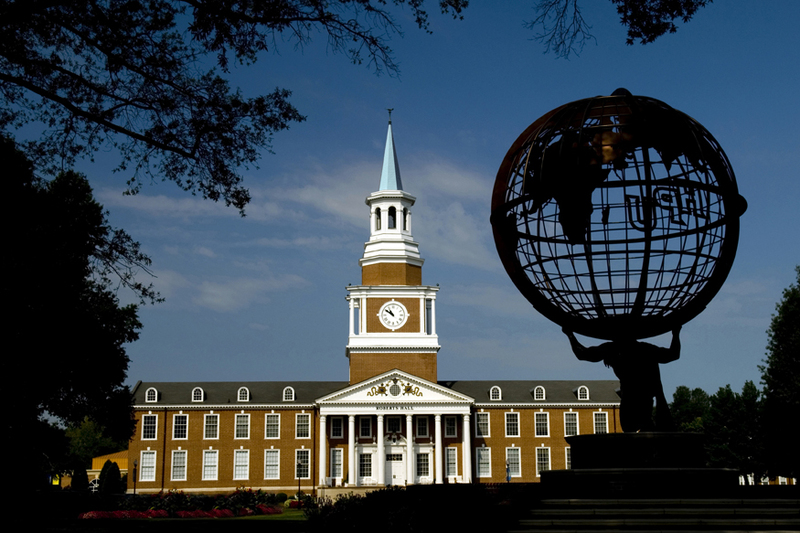 Additionally, the School offers a Doctoral Degree in Educational Leadership. 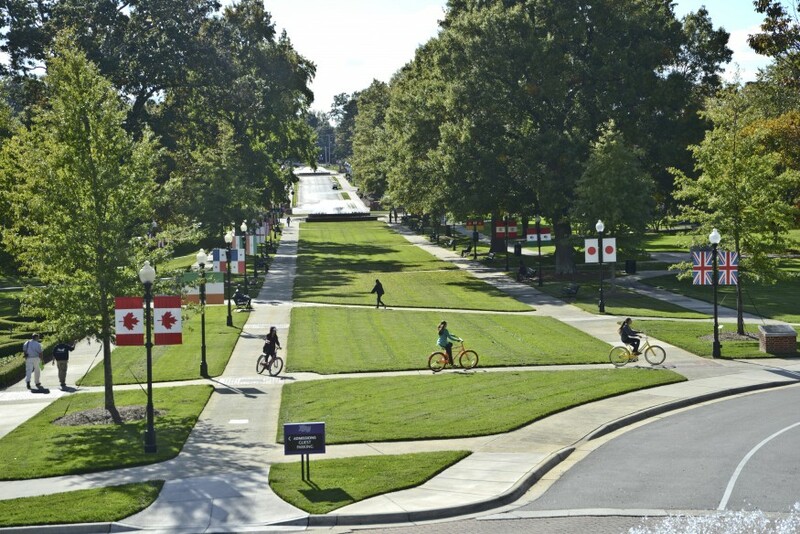 The Greek Village is home to 180 fraternity and sorority students. 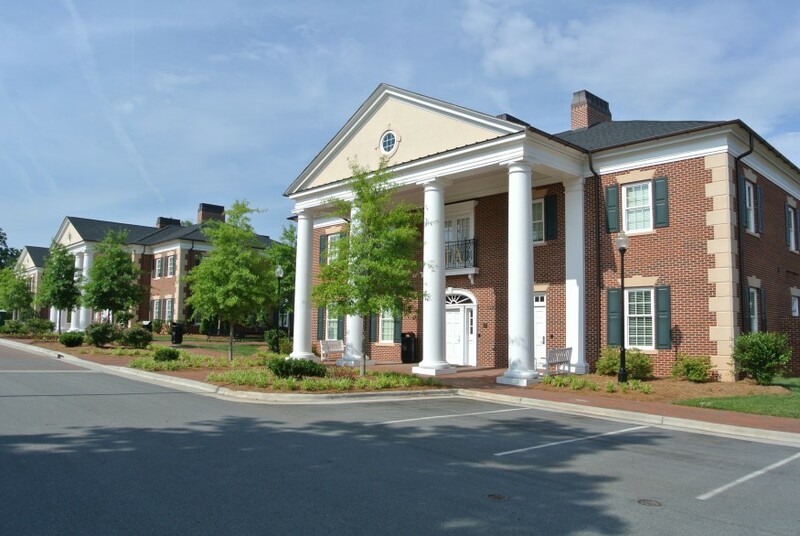 The self-contained community is comprised of 12 two-story houses with the look and feel of grand Georgian homes, and 15 students live in each house. 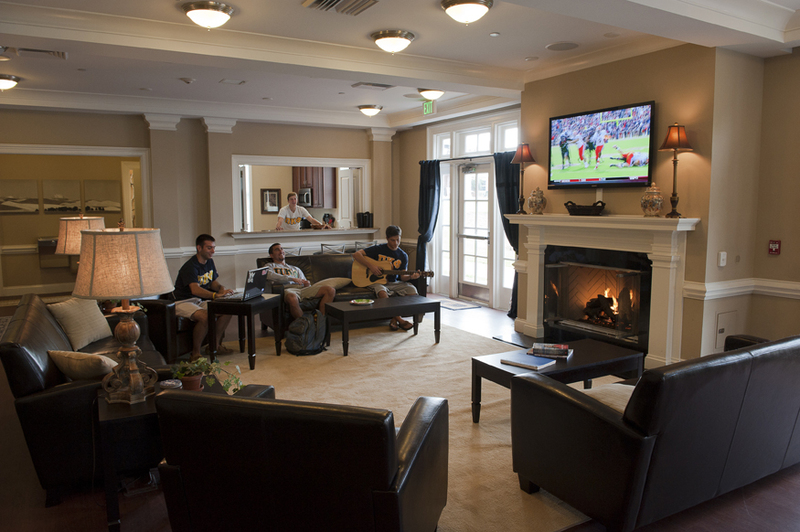 The houses include a chapter lounge, kitchen, study area and outdoor patio. 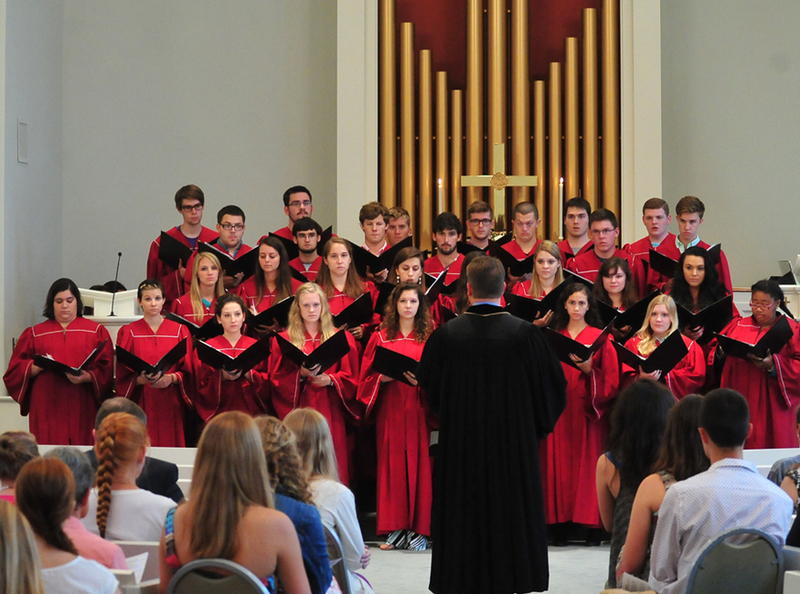 An 11,500-square-foot meeting house for weekly meetings and events is the center of the Greek Village. 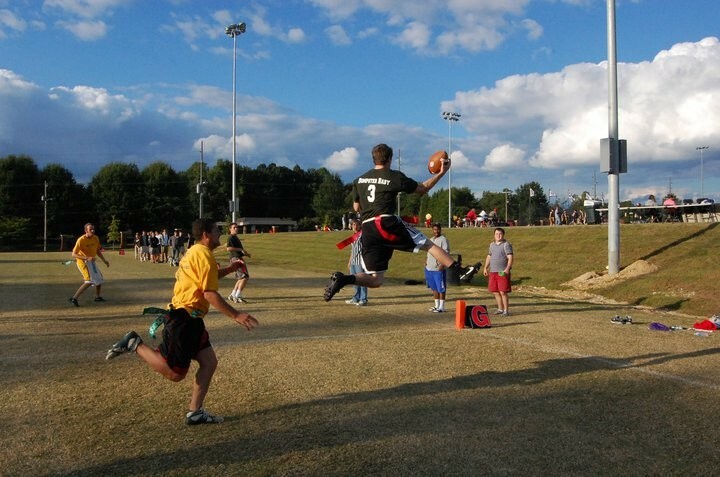 Centennial Square Townhomes is a residential community for upperclassmen. 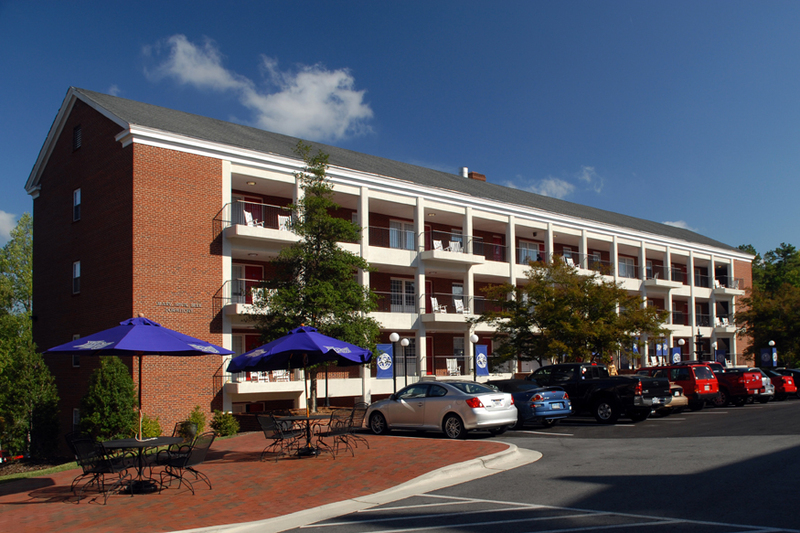 Each townhome has five single rooms with full-size beds, and one double-occupancy bedroom with twin-size beds. Amenities include; shared living area, dining room, full-size kitchen (which includes a dishwasher), and laundry room in each facility, as well as access to the Centennial Square Center, which includes a learning commons study space, recreation facilities and post office. David R. Hayworth Park is a place of solitude, reflection, fellowship, and natural beauty. 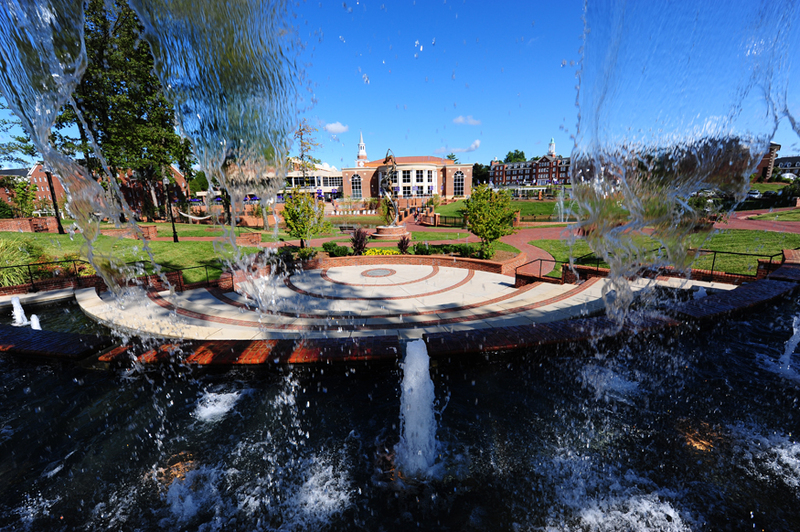 Located in the park is the Hoffman Amphitheatre with 15-foot waterfalls that students can walk behind. 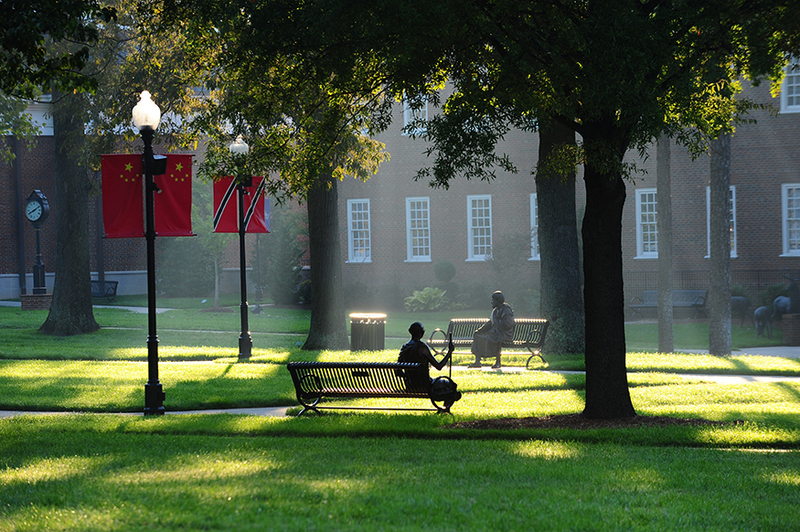 The area is used for outdoor concerts, students meetings and occasionally, even classes. 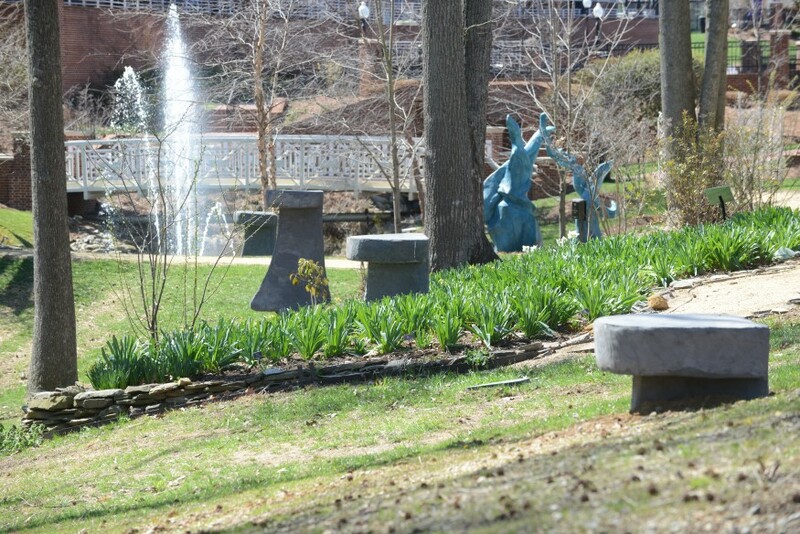 The park is also home to the Human Link sculpture, a sculpture garden, and several botanical gardens. 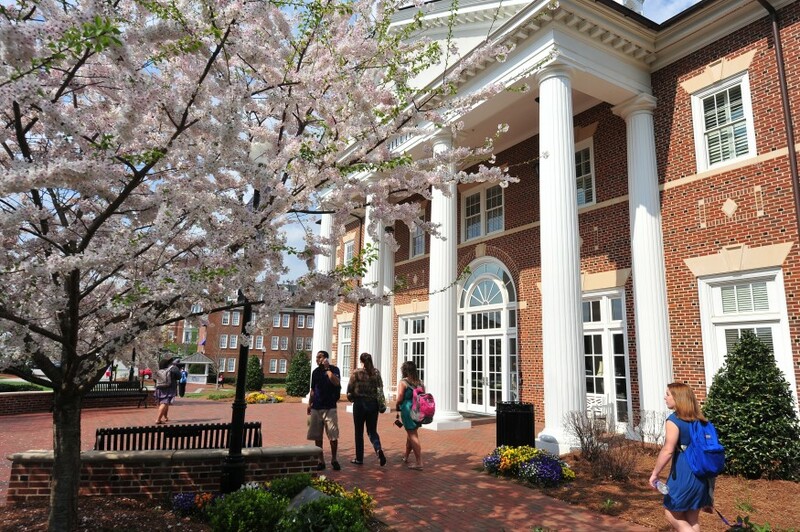 Millis Hall was built in 1964 and renovated in the summer of 2007. 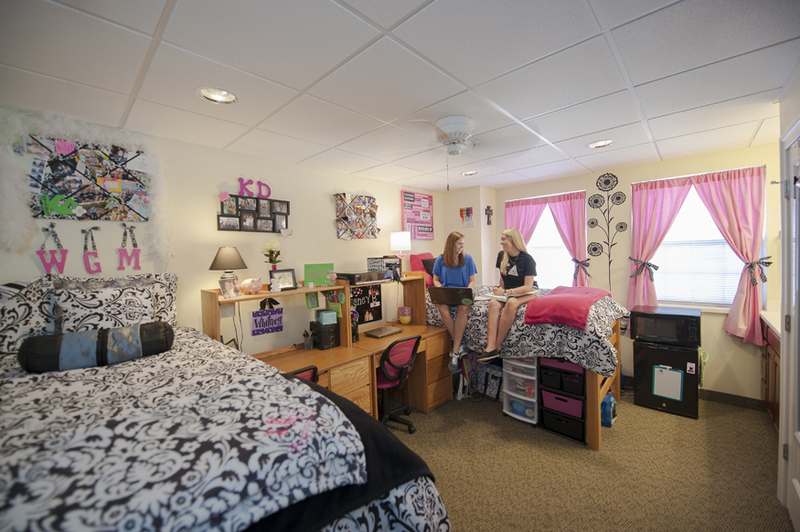 Each bedroom in Millis is furnished with two bunkable standard twin beds, a dresser, two closets, a built-in desk/table with a chair, miniblinds, and a ceiling fan. Each desk/table serves as a vanity with a mirror and bright “can” lights. 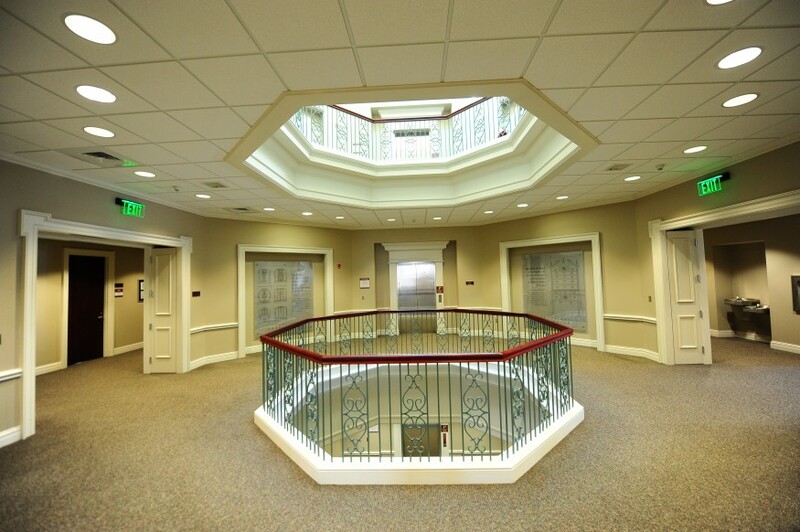 Two students share each bedroom and each floor has a traditional hall bathroom. 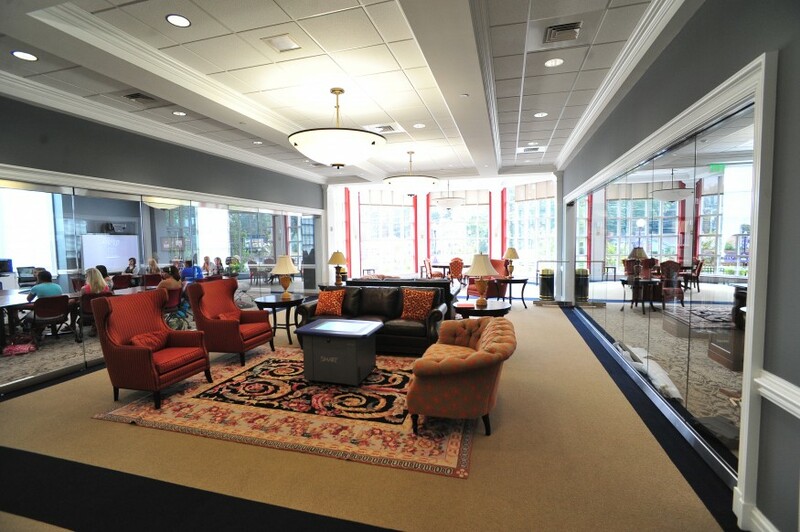 Millis offers free laundry, wireless internet, air conditioning, and common areas with leather furniture. 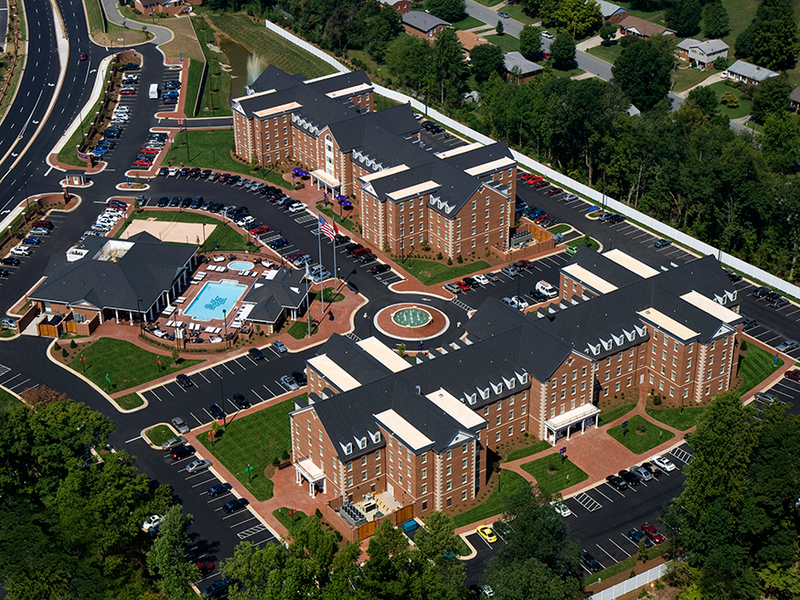 Blessing Residence Hall houses freshmen and consists of 240 fully furnished private bedrooms grouped in suites. 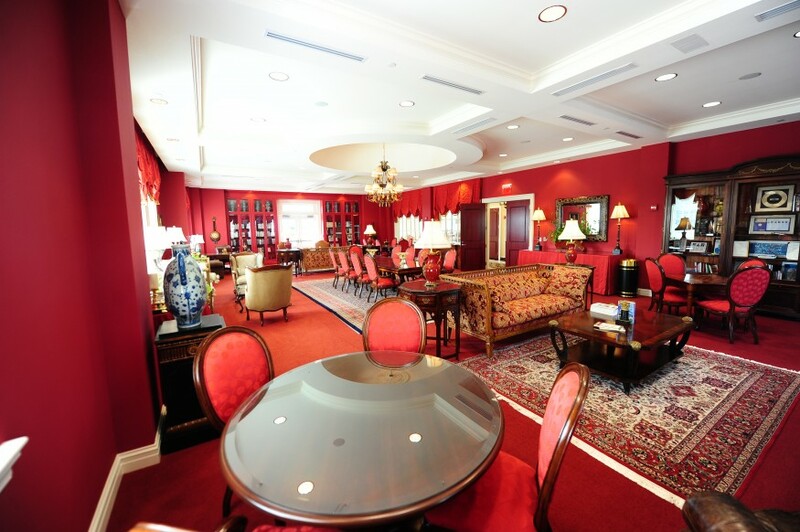 Each suite includes bedrooms, a full kitchen, dining room and living area. These apartment-like suites also are equipped with a full-size refrigerator, microwave, stovetop, sofa, chairs, beds and desks. 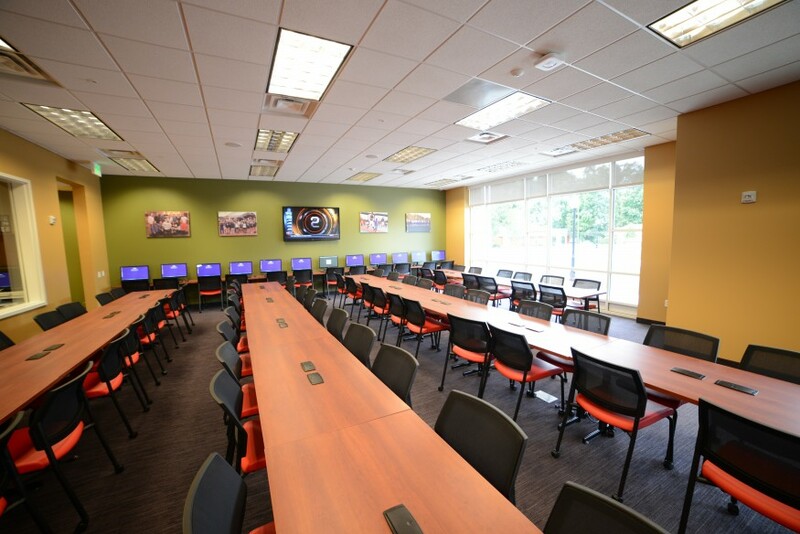 Blessing has 15 fully furnished lounges, a computer lab and conference areas. 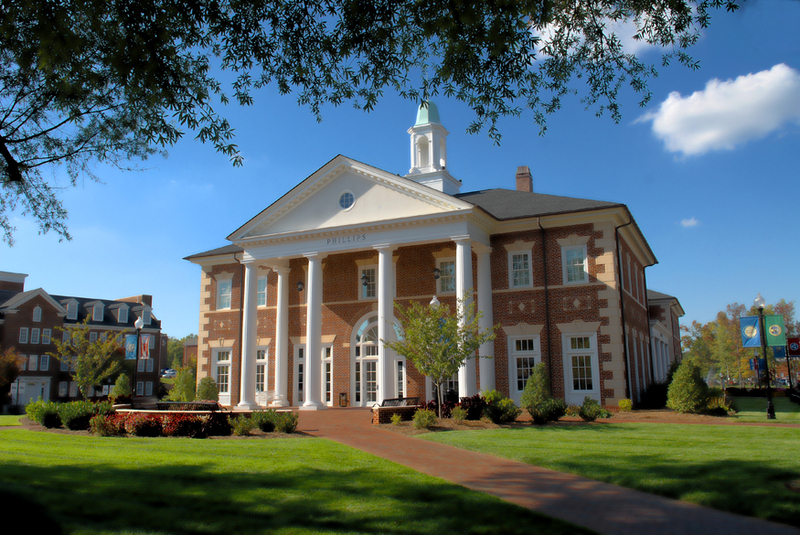 Mary Erwin Belk Hall is a Wellness residential community that features 24 hours quiet hours, and substance free living as well as houses are Media Fellows Living Learning Community. Each suite has an entrance from an outside balcony-walkway, four bedrooms, a lounge area and a shared bathroom. Two students share each room, making a total of eight students sharing a bathroom. Each room is furnished with two bunkable standard size twin beds, two closets, and a built-in desk unit with drawers, two desk chairs, ceiling fan and carpet. 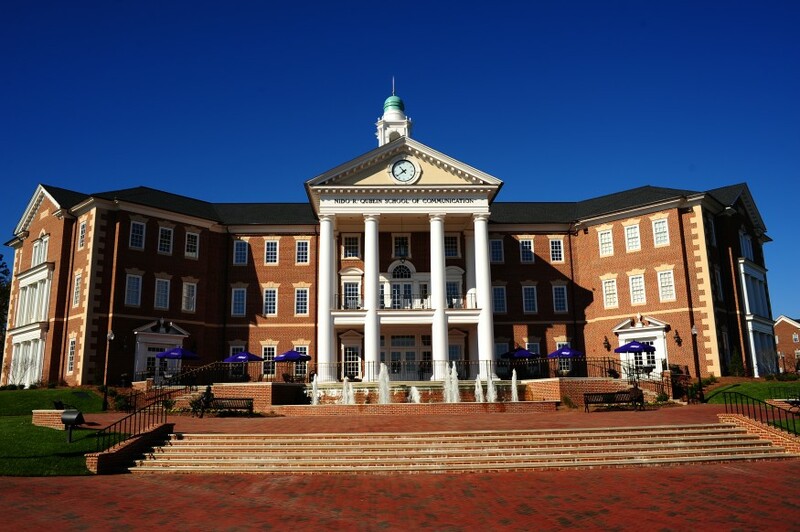 Like all other buildings on campus, Belk is completely wireless, air conditioned, and has convenient parking and free laundry facilities. 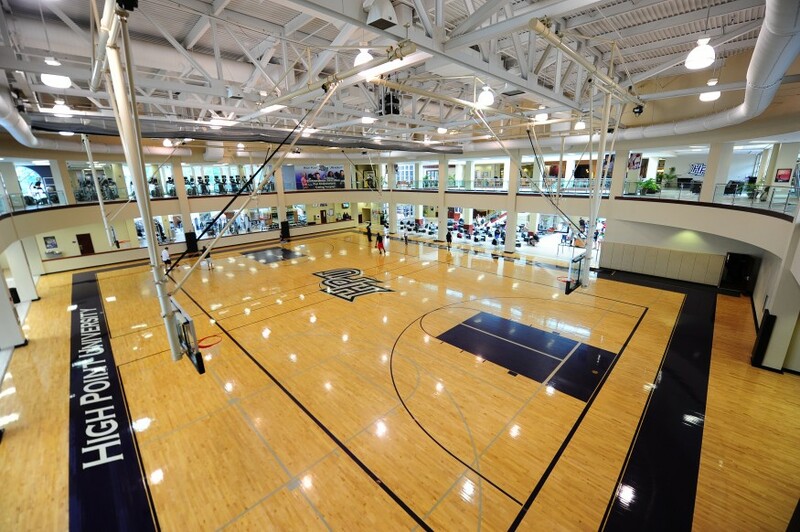 James H. and Jesse E. Millis Athletic/Convocation Center is home to the Panthers basketball and volleyball teams. 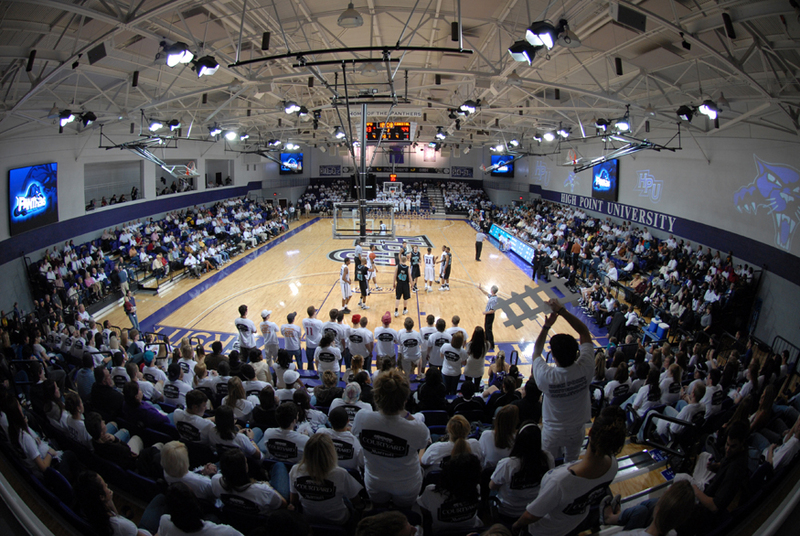 The arena received a major renovation that included a new floor, chair back seating, four state-of-the-art video boards and a new sound system, making it one of the best facilities in the Big South Conference. 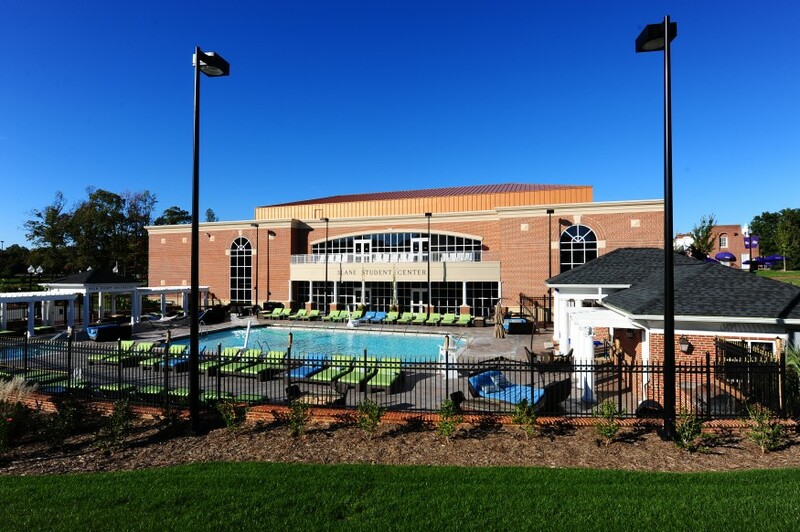 The Millis Center also houses an eight-lane swimming pool, racquetball courts, facilities for athletic training and strength and conditioning, as well as offices for coaches and staff. Six tennis courts adjoin the arena. 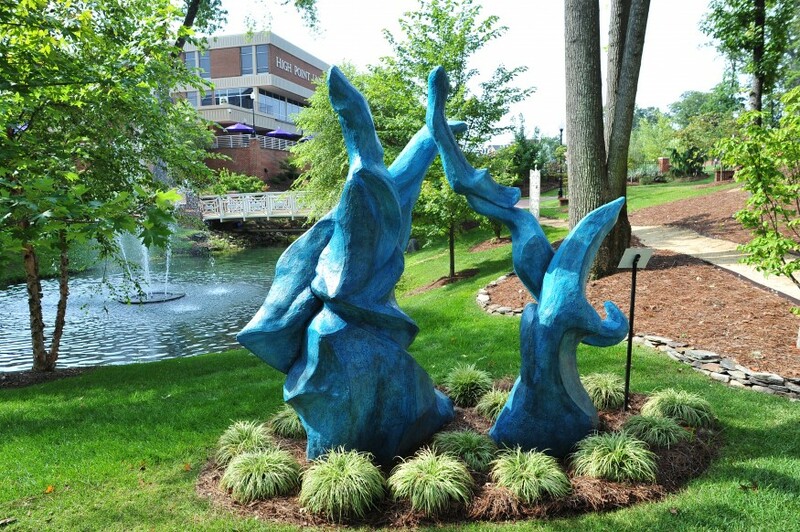 One of two panther sculptures on campus stands guard at the entrance to the center. Coy O. Williard Sr. 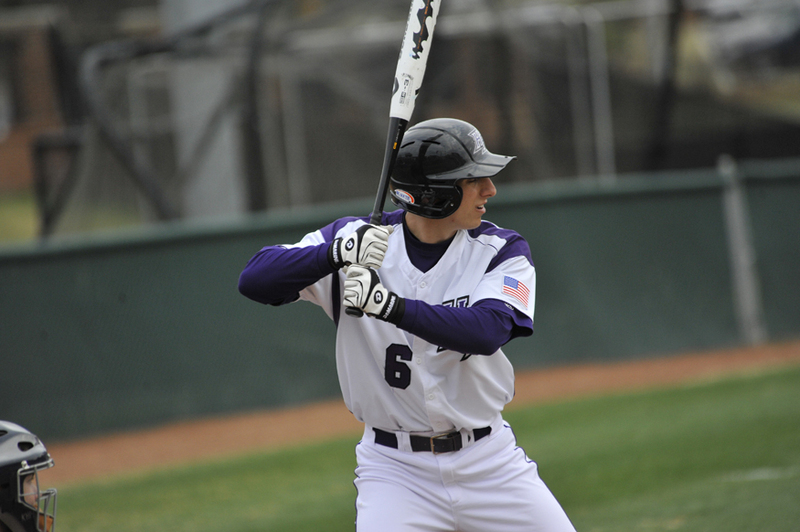 Baseball Stadium is a state-of-the-art facility featuring chair-back seating for 500 fans, plus special guest seating, a press box, concession stand and a video scoreboard. 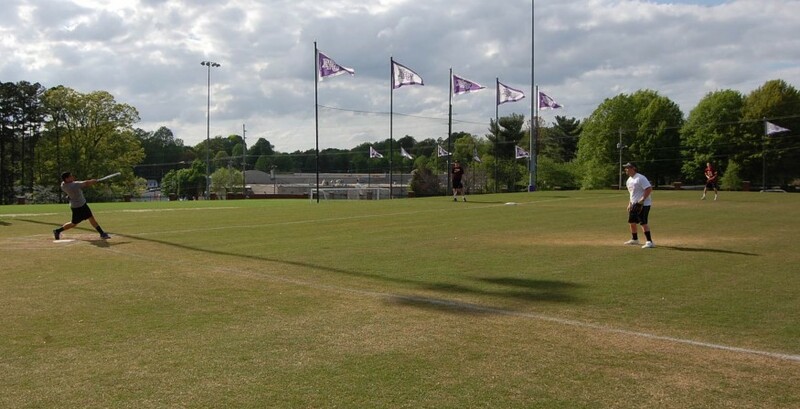 In 2011, a student plaza was added in the outfield. 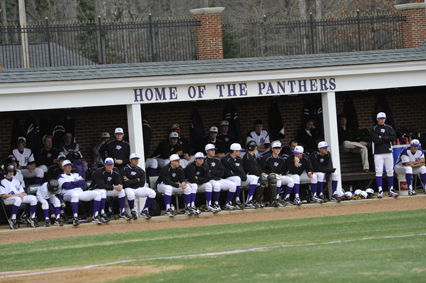 The George S. Erath Baseball Field is part of the stadium. 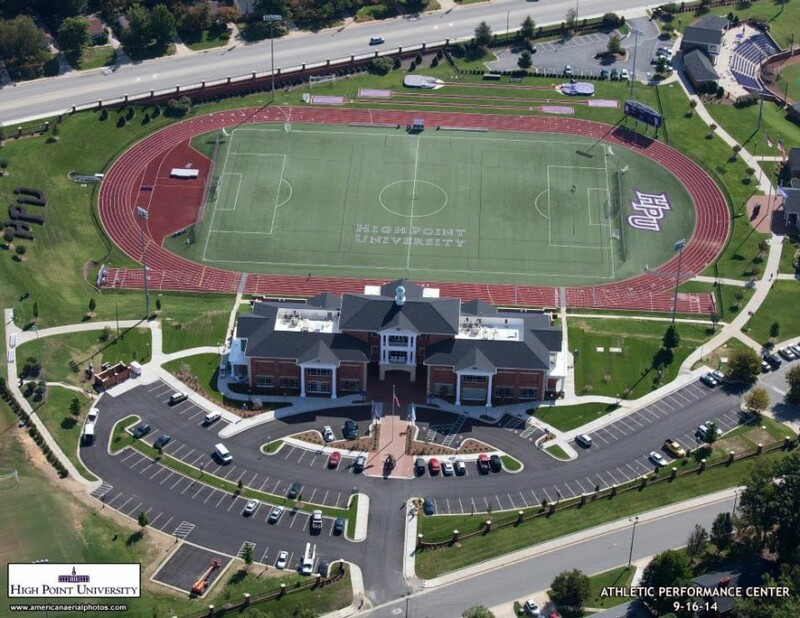 Jerry and Kitty Steele Sports Center is the headquarters for Panther Athletics and serves the needs of most outdoor athletic teams. 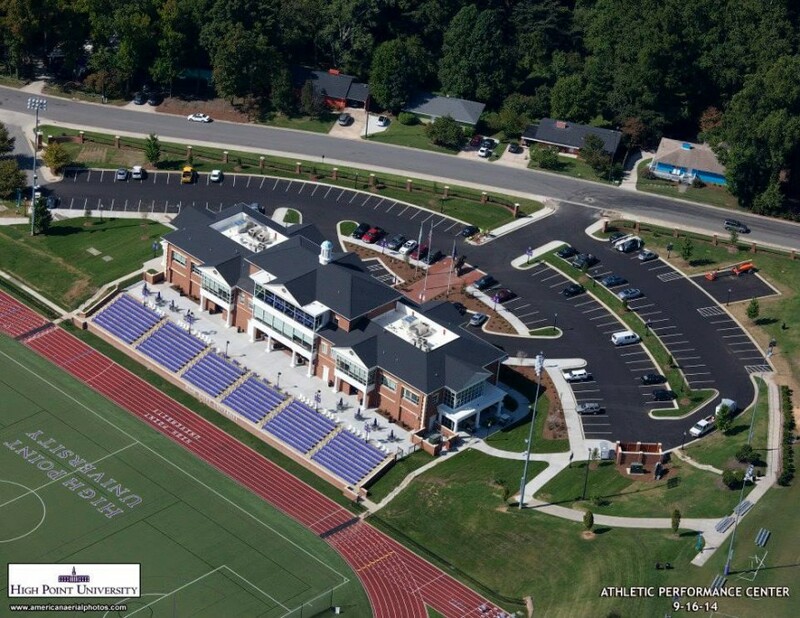 In addition to coach and administrative offices, it includes an academic center, facilities for weight training, athletic training, a hydrotherapy room, locker rooms for six sports, an awards display, and hospitality area. 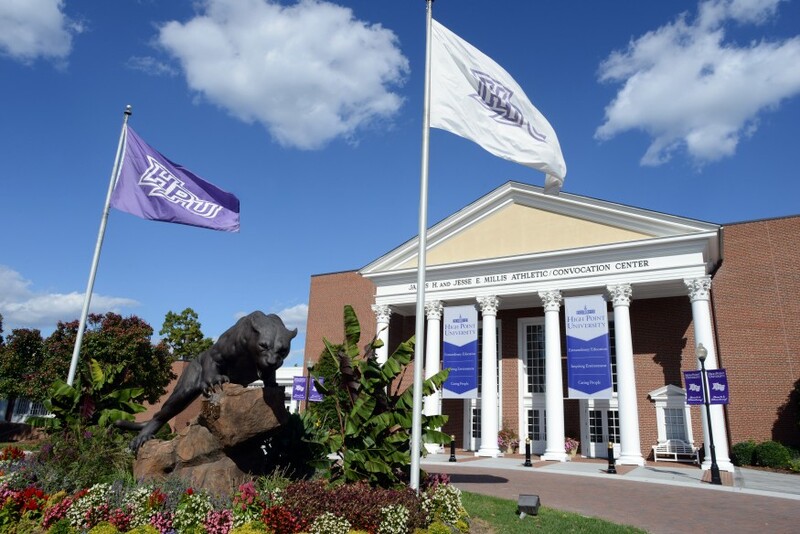 One of two panther sculptures stands guard at the entrance to the Steele Sports Center. 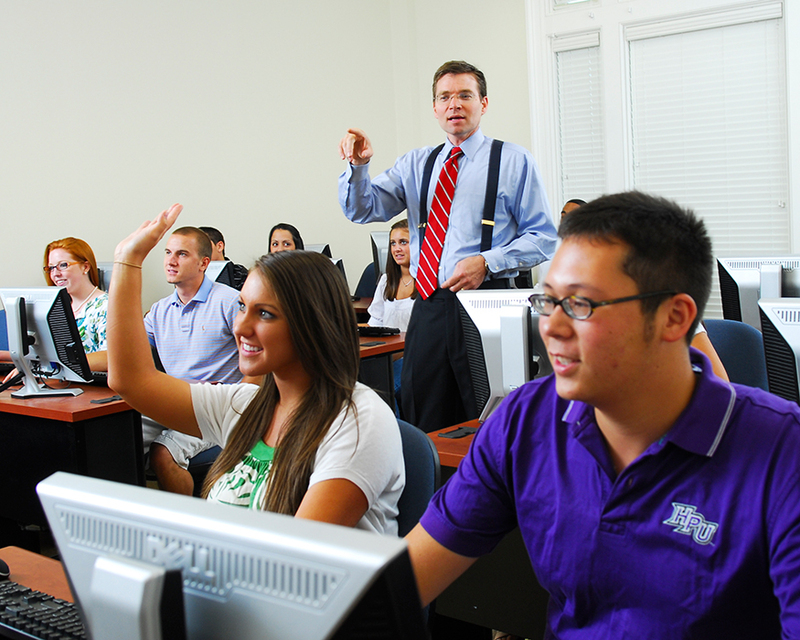 A 105-seat academic center, including upgraded technology and space to support HPU’s student-athletes in the classroom. 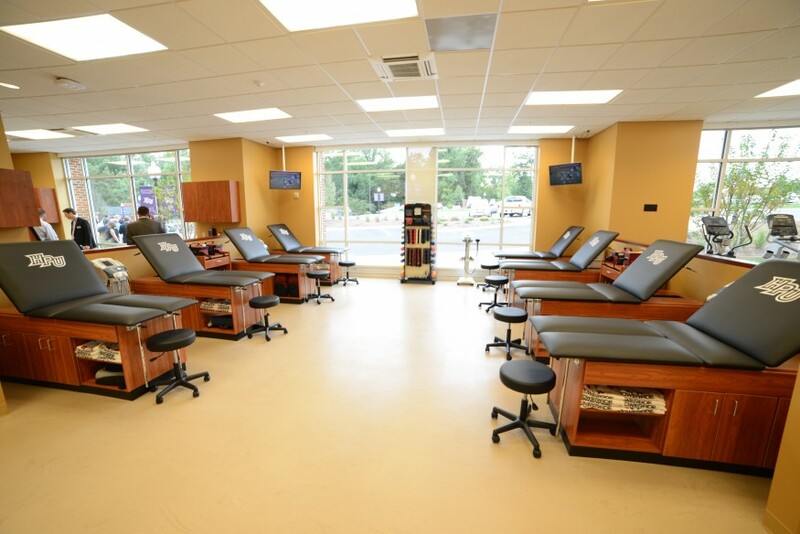 A new athletic training center, which will aid in injury prevention, treatment and the rehabilitation process of HPU’s student-athletes. 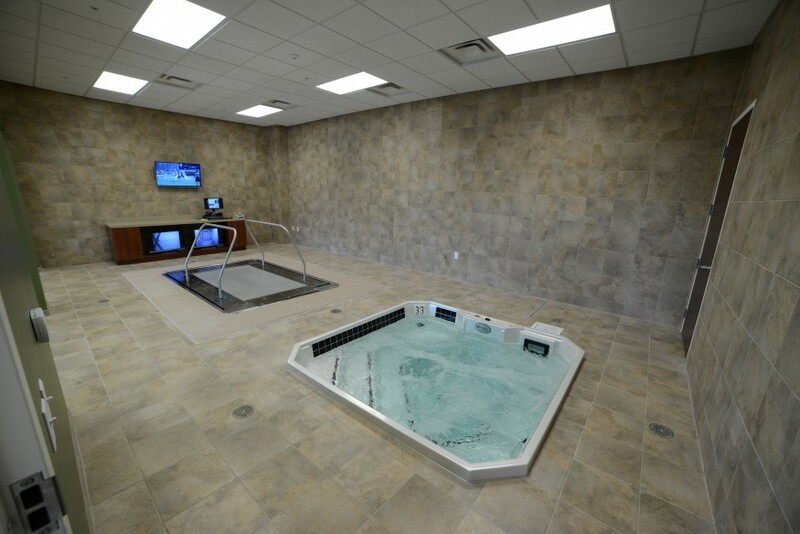 A hydrotherapy area with a Hydroworx in-ground cold whirlpool and an underwater treadmill. 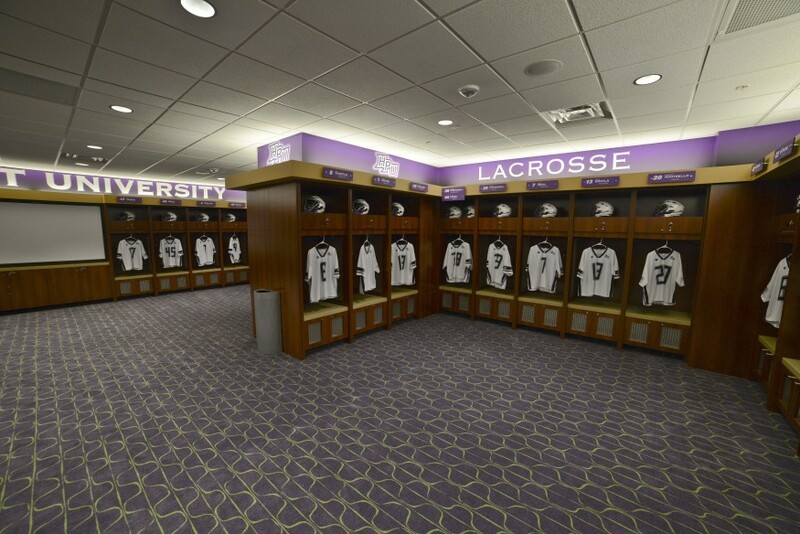 Impressive new locker rooms, lounges and office suites for the men’s and women’s lacrosse teams and the men’s and women’s soccer teams. 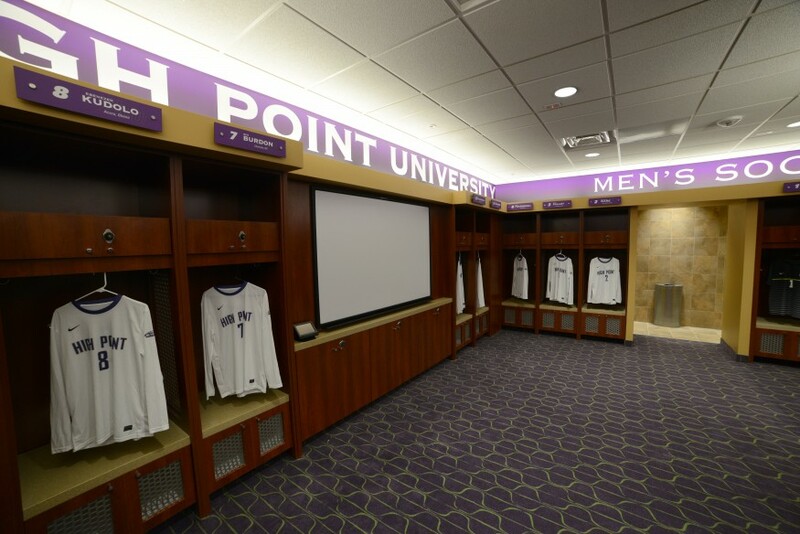 Each locker room features a thumbprint ID system, state-of-the-art DaLite smart board technology, custom-built wood lockers, boot rooms and stick storage. 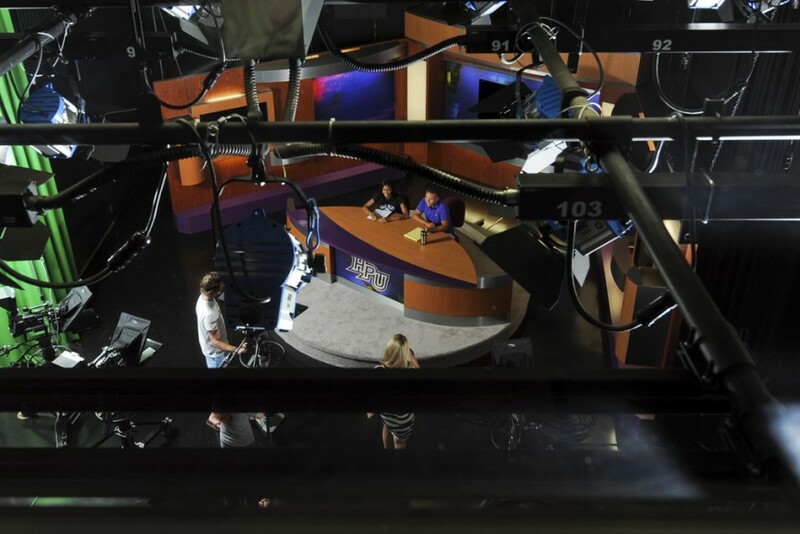 A first-class media and production area that allows the Panthers to be featured more prominently on television broadcasts and provide the ability to produce high definition streaming video via the Big South Network. 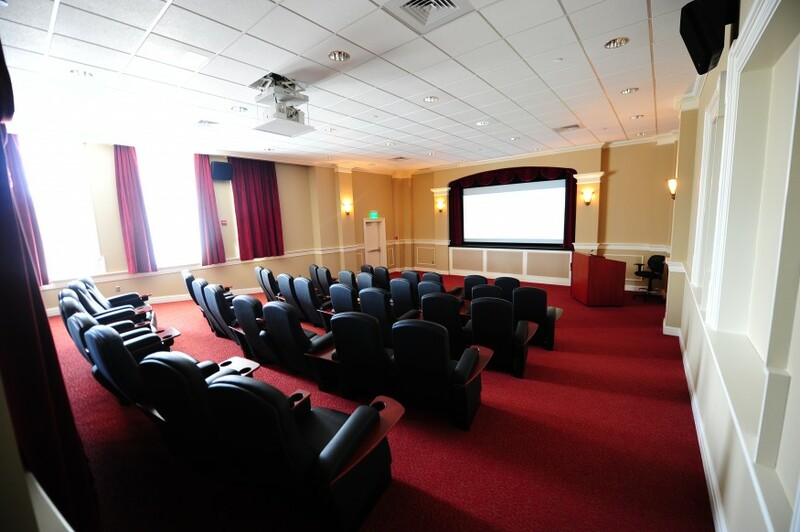 The President’s hospitality suite located on the third floor overlooks the adjacent Vert Stadium and features 32 stadium seats that provide a birds-eye view of the action. The athletic director’s box on the second floor includes seating for up to 30 people. 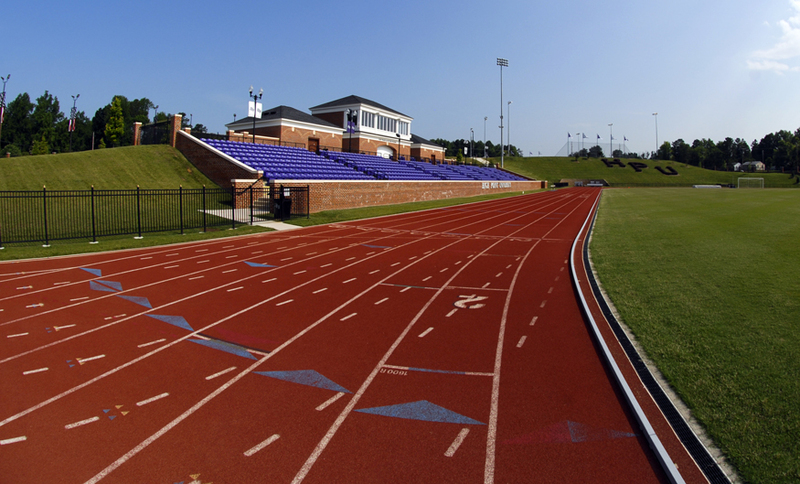 Circling Vert Stadium is the Irwin Belk Track, an eight-lane polyurethane track which meets all certifications of international track & field, as well as areas for all field events. 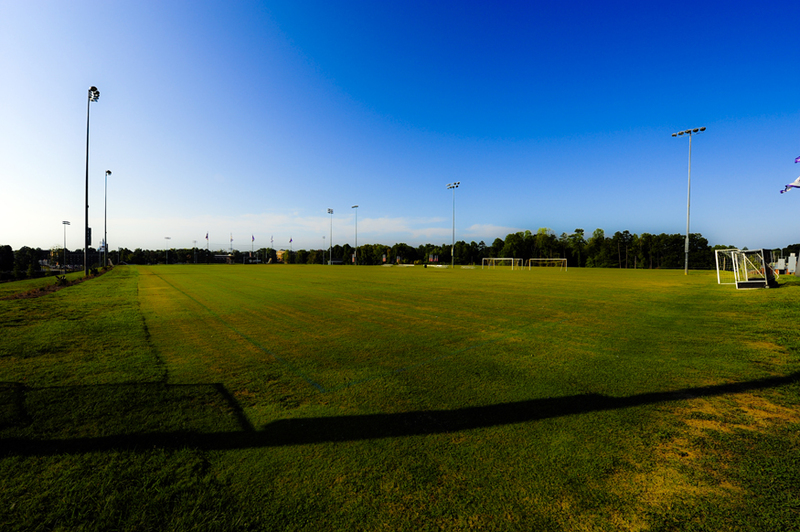 The club and intramural fields provide students with additional recreational space for HPU's growing club and intramural sports programs. 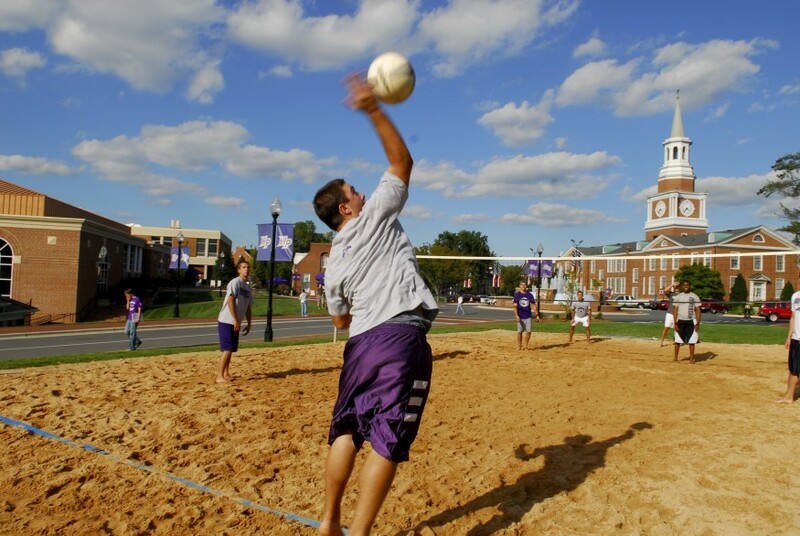 Club and intramural sports offered at HPU include ultimate frisbee, beach volleyball, kickball, equestrian, field hockey, swimming, softball and more. 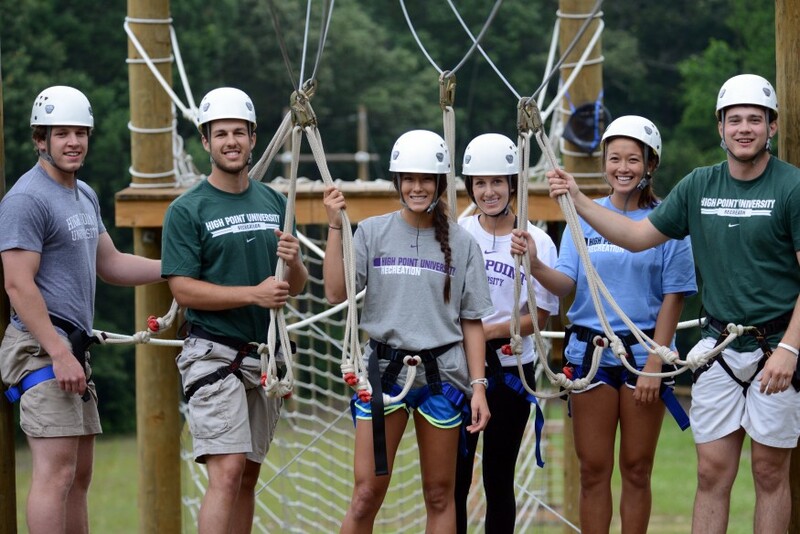 Located just a few miles from campus on the 22-acre HPU Estate, offers students a unique, natural environment to strengthen their communication and leadership skills. 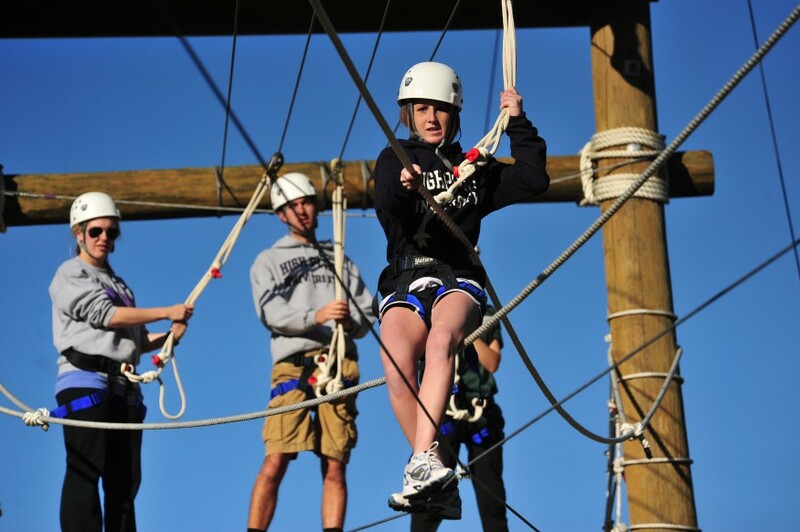 The course, which includes some physically demanding tasks, provides an exhilarating, yet safe experience for students to test their ability to creatively and collaboratively solve problems – skills that are crucial in any working environment. 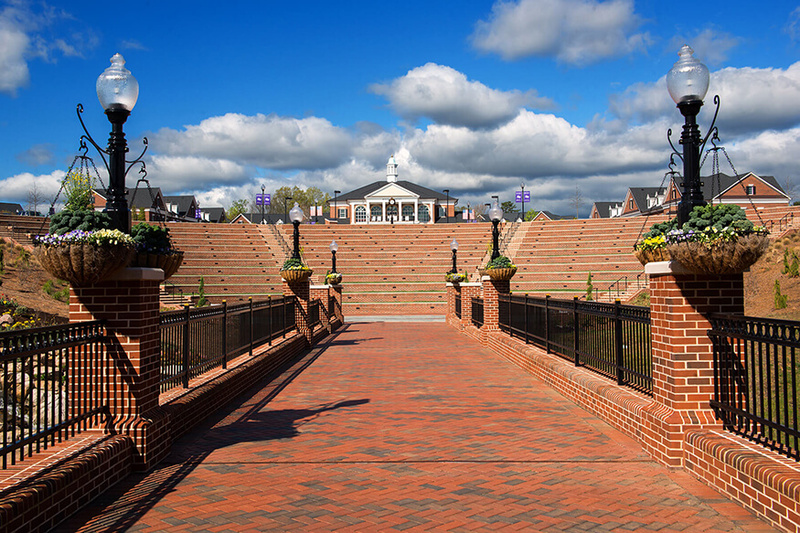 An outdoor amphitheater to host concerts, plays, speakers, and other events. 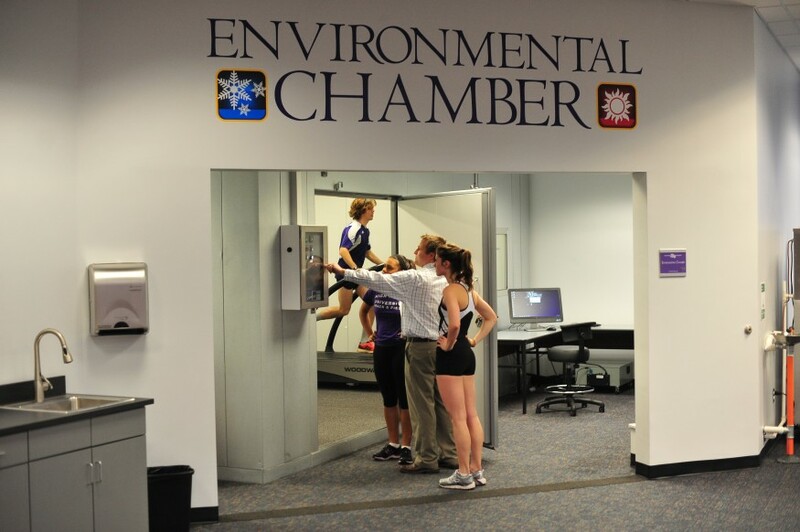 The 13,150 square foot facility houses sophisticated research equipment in a space like no other on the East Coast. 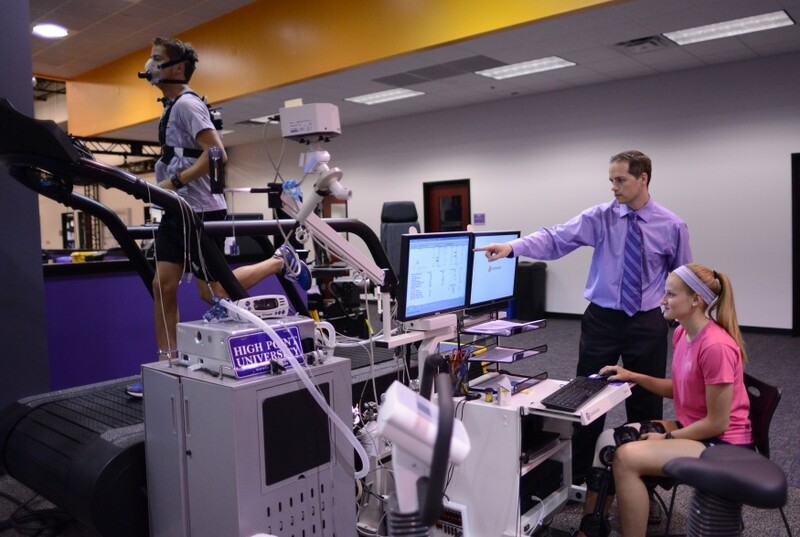 The equipment will be utilized by students studying a variety of fields including physical therapy, exercise science, athletic training, biology, physics, chemistry, mathematics and more. 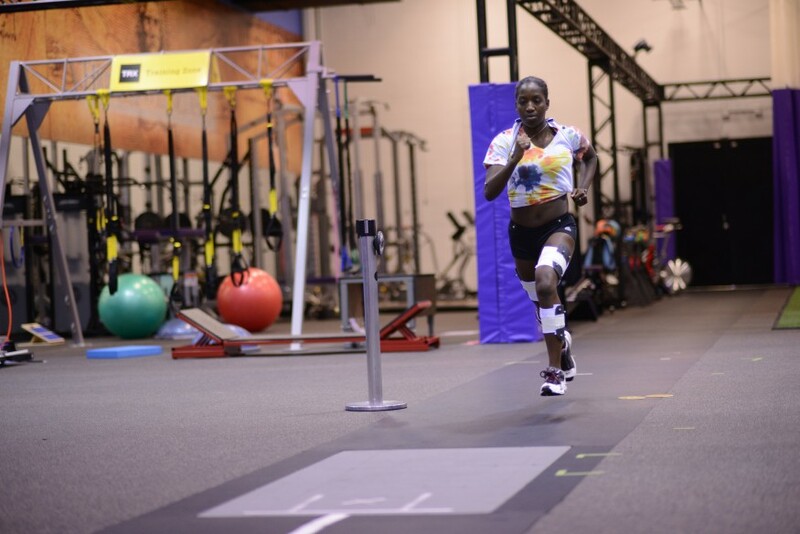 Students will study injury prevention and rehabilitation methods in the lab, as well as methods to improve human physiologic response to activity and overall physical performance. 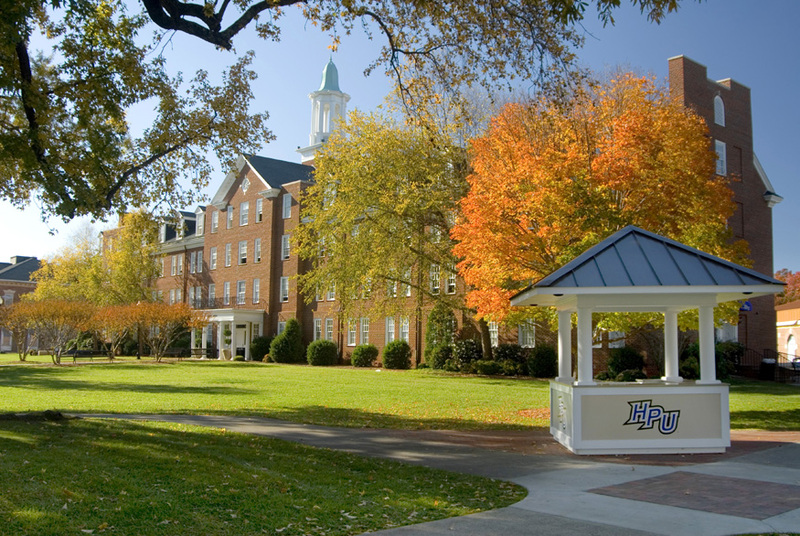 Located within walking distance of the University, and across from Aldridge Village at High Point University, University Village is located at the intersection of Centennial St. and North College Dr. University Village, also known on campus as U-Ville, is home to 116 upperclassmen students living in one or two bedroom apartments shared between two, three, or five students. Each apartment has a full kitchen including a stove with oven, microwave, full size refrigerator and a dining room table with chairs. 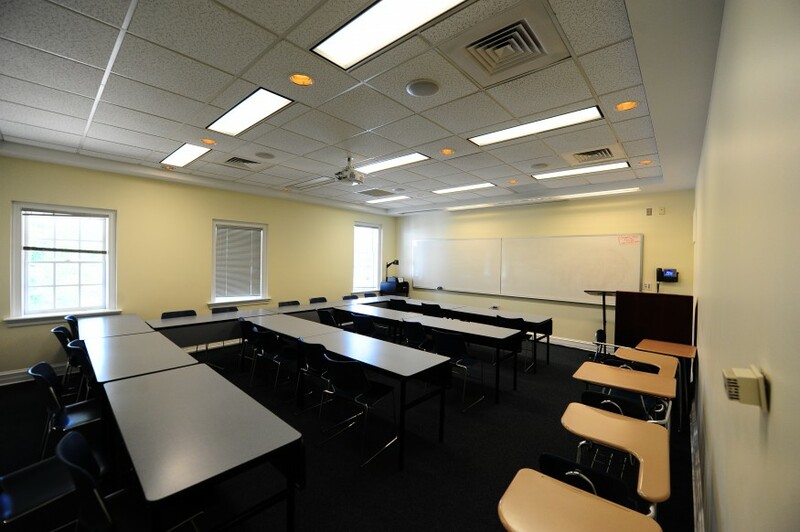 Each bedroom has either one or two beds, and a dresser and a desk with chair for each student. The living area comes furnished with a couch, coffee table, kitchen table with chairs, and window shades. In each apartment’s bathroom, there is a sink, toilet and bathtub/shower that the residents share. On the outside of each apartment, there is a front and back porch for lounging. 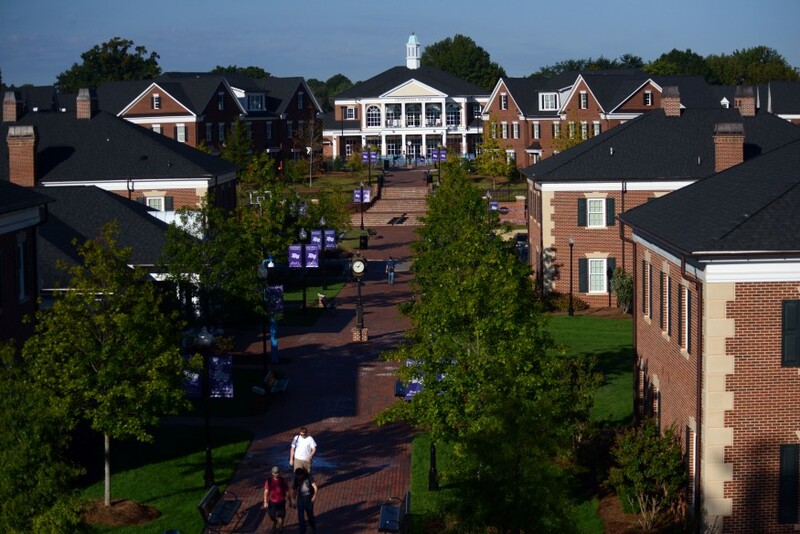 As with all of the other residence halls on the High Point University campus, University Village has wireless internet, free laundry, and comfortable furniture. 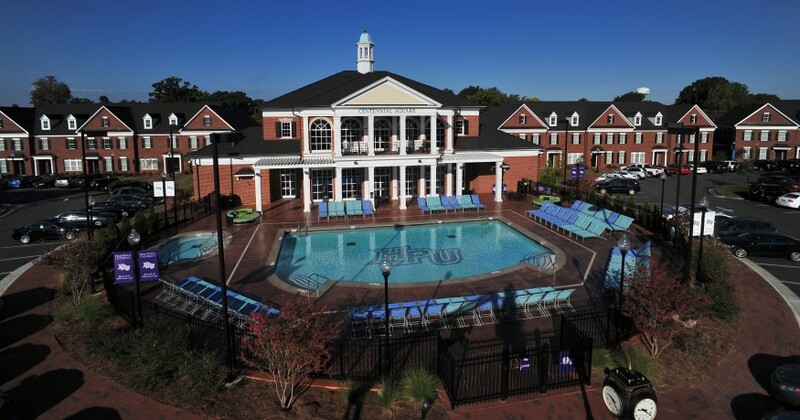 The Village at High Point University features their own “mini” campus with a pool, basketball court, volleyball court, dining facility and a security satellite station which is manned 24 hours daily. Having 540 parking spaces, there will be ample parking for all however, driving will not be necessary because a rotating shuttle will arrive every 15 minutes. The architecture of the buildings will be similar to Blessing and York with two, three, and four bedroom apartments, with one student to a bedroom with their own double bed, while sharing a bathroom and a kitchen. Each apartment is furnished with a couch, coffee table, kitchen table with chairs, full-size refrigerator with ice maker, disposal, two burner range, microwave, and mini-blinds in the living room. 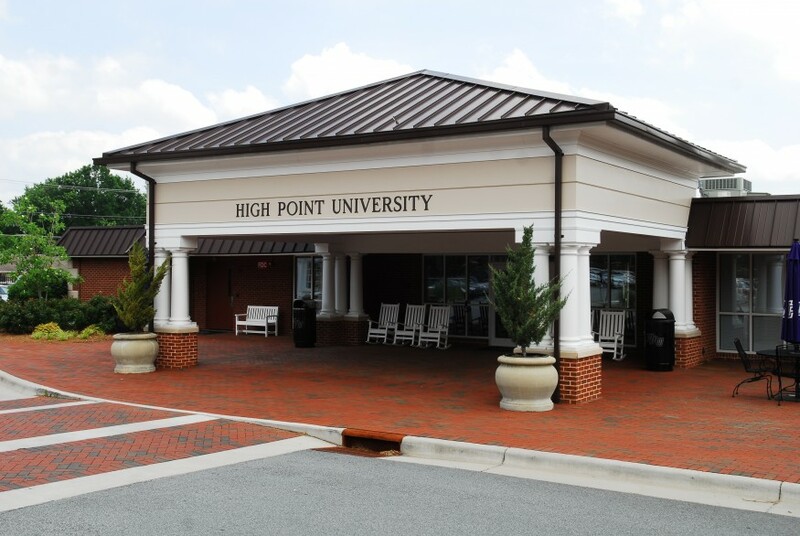 Each bedroom comes furnished with a full size bed, dresser, desk with chair, carpeting, and mini-blinds As with all of High Point University’s residence halls, the two buildings will be equipped with wireless internet, have furnished, comfortable lounges with TV’s, and free laundry. 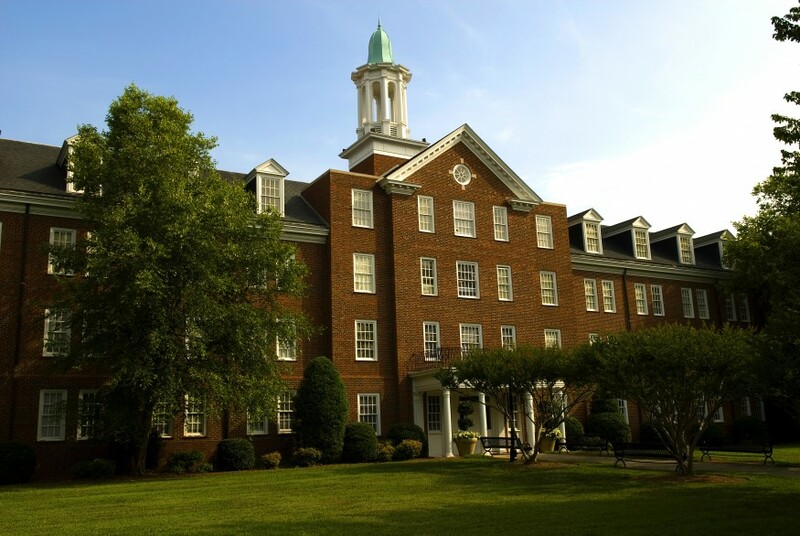 North College Court is a coed residential building. Students reside in a double or single bedroom that has a bathroom inside. Each bedroom has either one or two beds, and a dresser and desk with chair for each student. 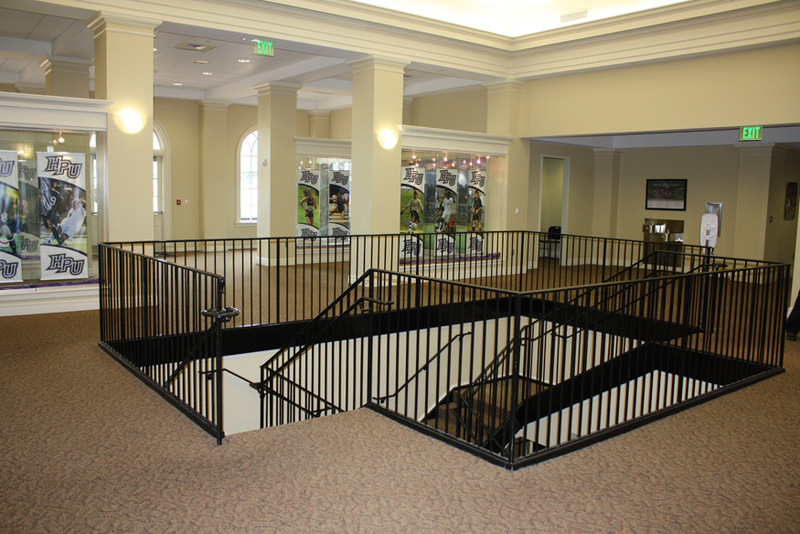 There is a workout facility, The Bistro and multiple work spaces, including a business center. 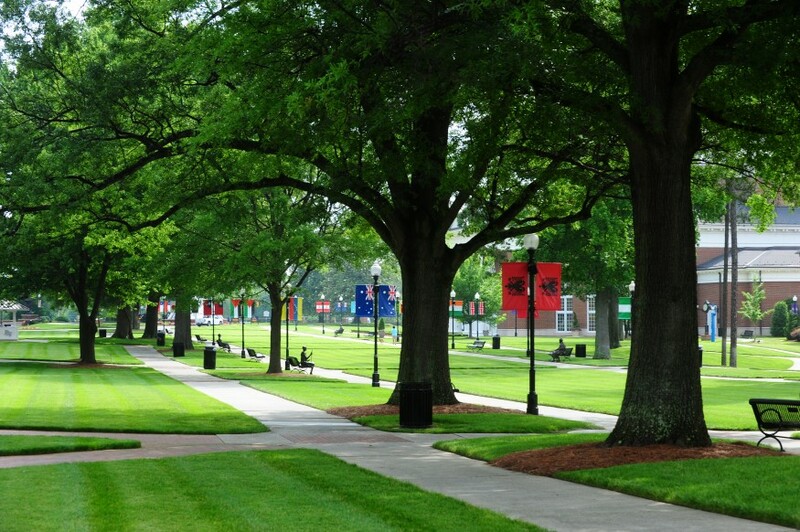 North College Administration houses the Departments of Security, Transportation, Campus Enhancement and Hospitality. 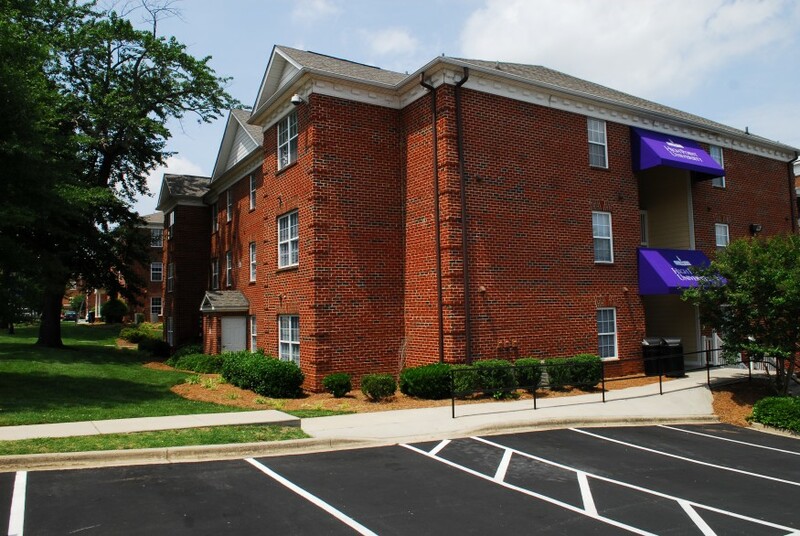 The North College Townhomes are home to 160 upperclassmen students living in either a studio apartment, a one bedroom apartment shared by two students, or a two bedroom apartment shared between three students. On the outside of each apartment, there is a front and back porch for lounging. 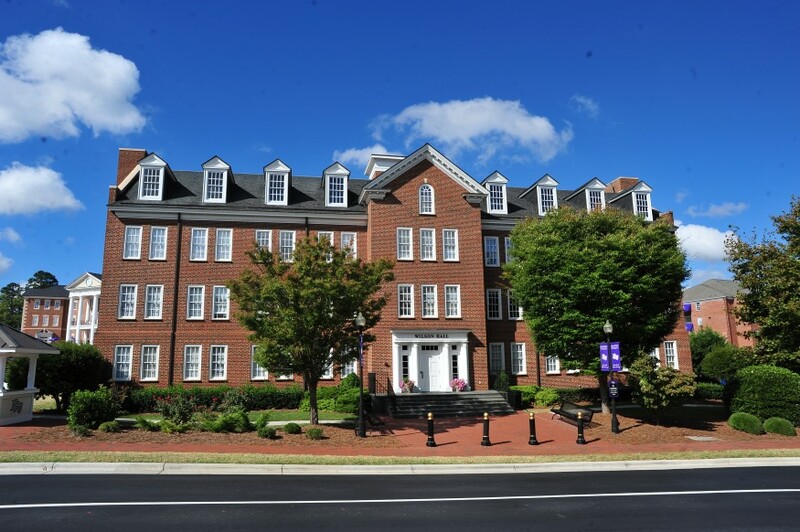 As with all of the other residence halls on the High Point University campus, North College Townhomes has wireless internet, free laundry, and comfortable furniture. Pets can provide both companionship and sense of community for students. 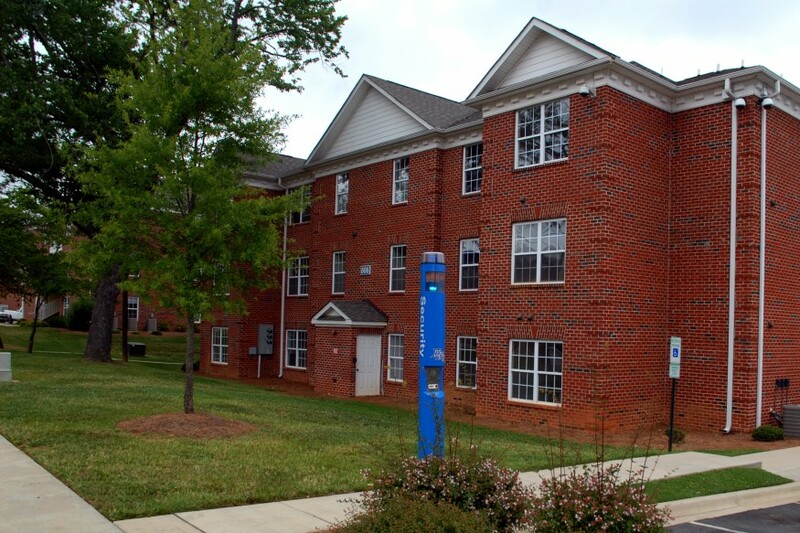 As such, the Office of Student Life is allowing pets to be kept and maintained in North College Townhomes for the 2013-2014 academic year. 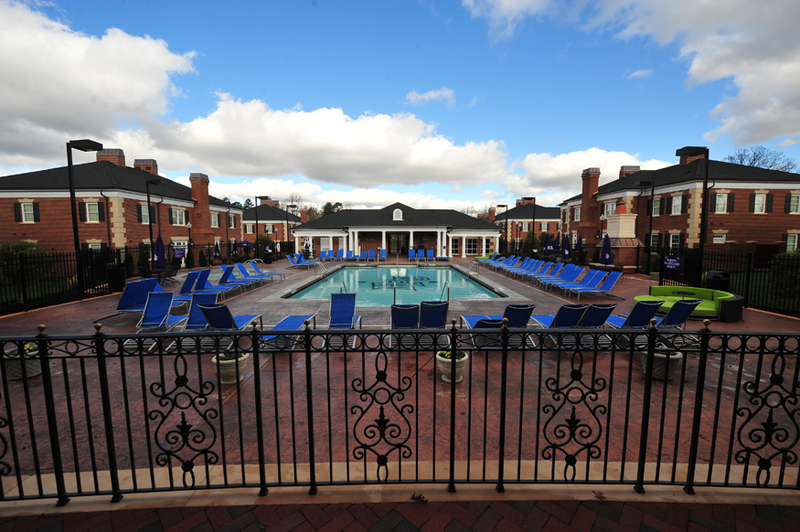 The North College Terrace residential community is located on the North College Property. 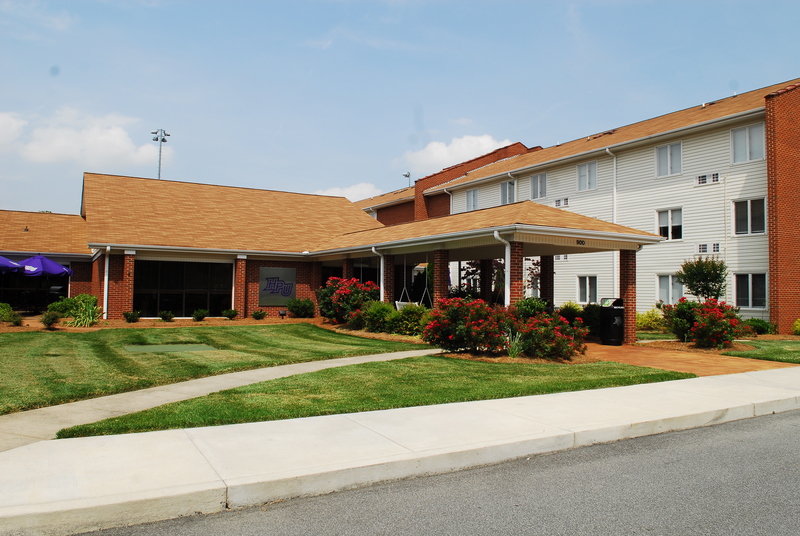 It houses upperclassmen males and females in either a one bedroom apartment that is single or double occupancy. Each apartment has a full kitchen with a stove, living room, bathroom, and bedroom. 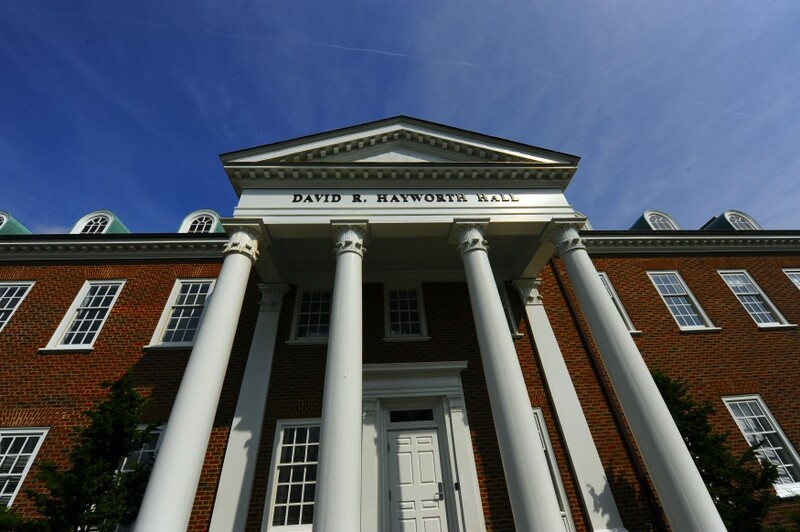 David R. Hayworth Hall provides classrooms and office space for the departments of Religion, Philosophy and History. The Point Place Apartments, built in 2002 and 2003, consists of three buildings currently named by their address. 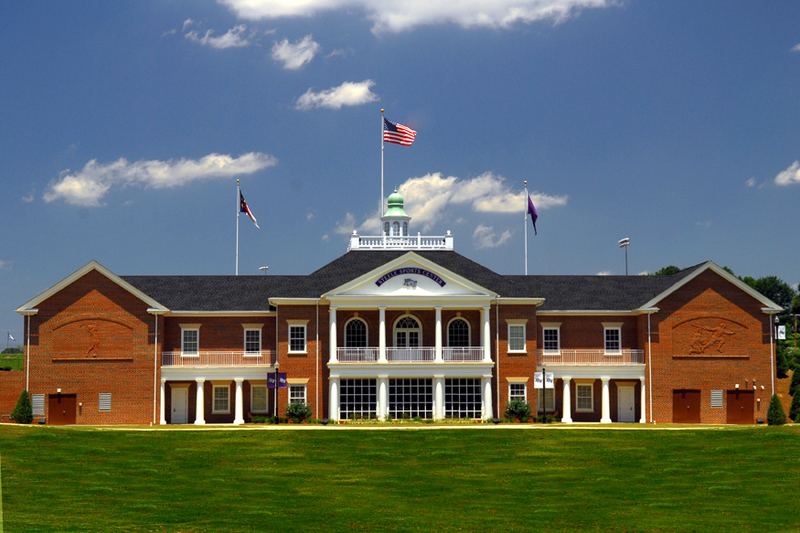 The 806 and 818 buildings house upperclassmen males, and the 812 building houses upperclassmen females. All three buildings are wireless and offer free laundry in each apartment. A “twin” of the 806 building, 818 Point Place offers comfortable sofas, mini blinds, kitchen table with chairs, disposal, full-size refrigerator, full stove and oven, microwave, dishwasher, and washer and dryer. The Point Place Apartments, built in 2002 and 2003, consists of three buildings currently named by their address. 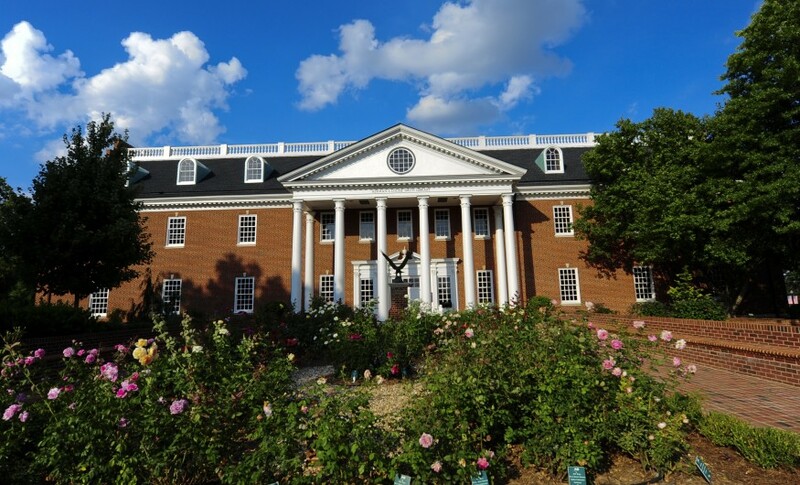 The 806 and 818 buildings house upperclassmen males, and the 812 building houses upperclassmen females. All three buildings are wireless and offer free laundry in each apartment. 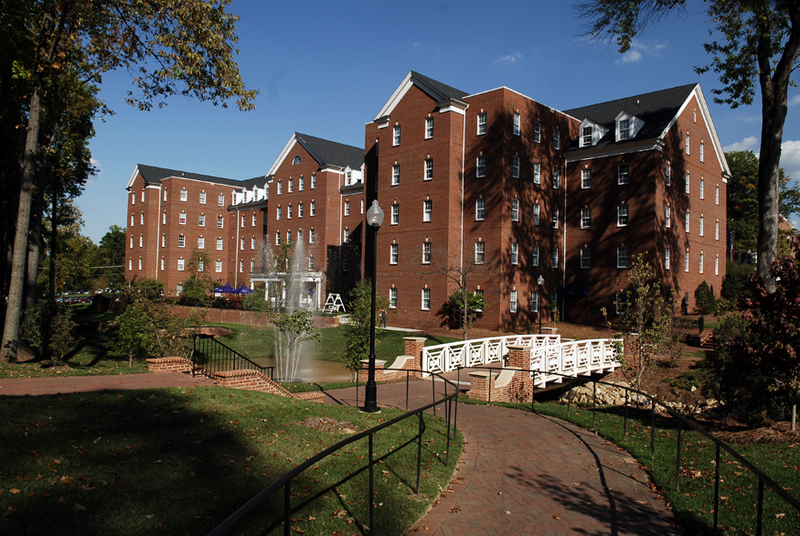 Built in 2002, the 812 building houses upperclassmen females. 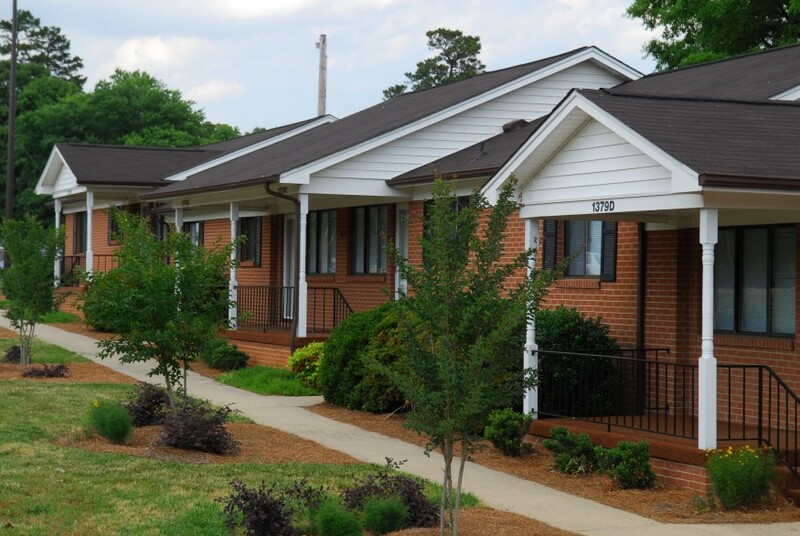 Like the 806 building, each apartment has comfortable sofas, mini blinds, kitchen table with chairs, full-size refrigerator, full stove and oven, microwave, dishwasher and washer and dryer. The Point Place Apartments, built in 2002 and 2003, consists of three buildings currently named by their address. 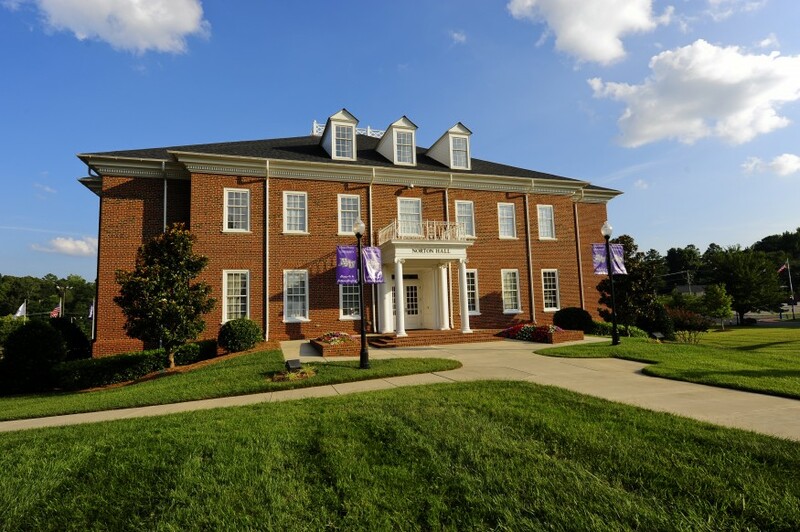 The 806 and 818 buildings house upperclassmen males, and the 812 building houses upperclassmen females. All three buildings are wireless and offer free laundry in each apartment. 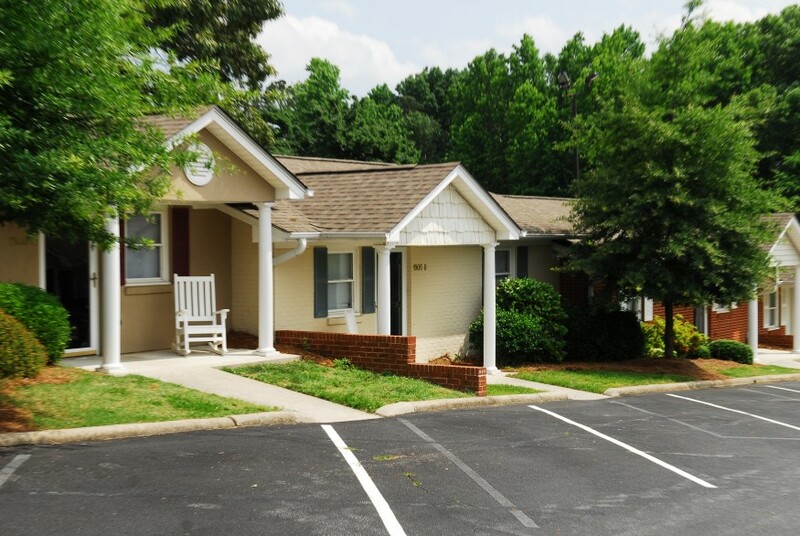 Each Apartment in 806 has comfortable sofas, mini blinds, kitchen table with chairs, full-size refrigerator, full stove and oven, microwave, dishwasher, and washer and dryer. 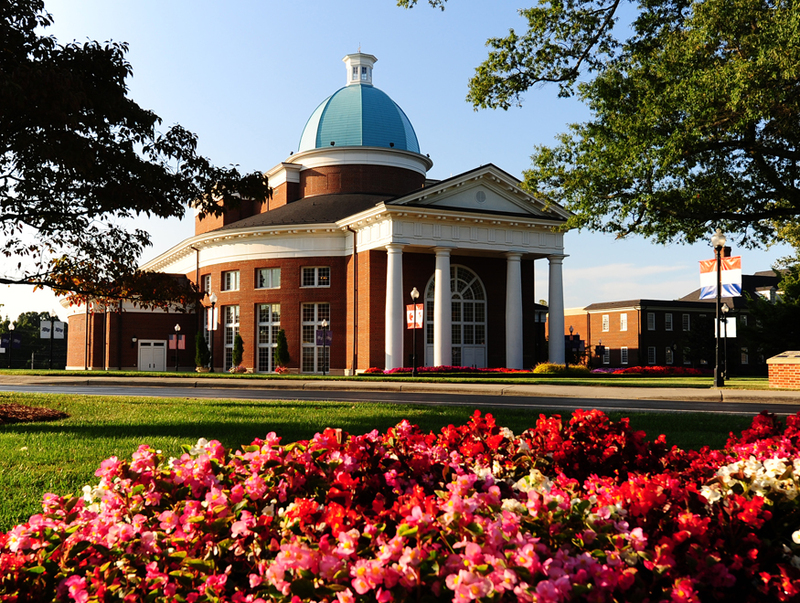 Wilson Hall is home to 78 students. 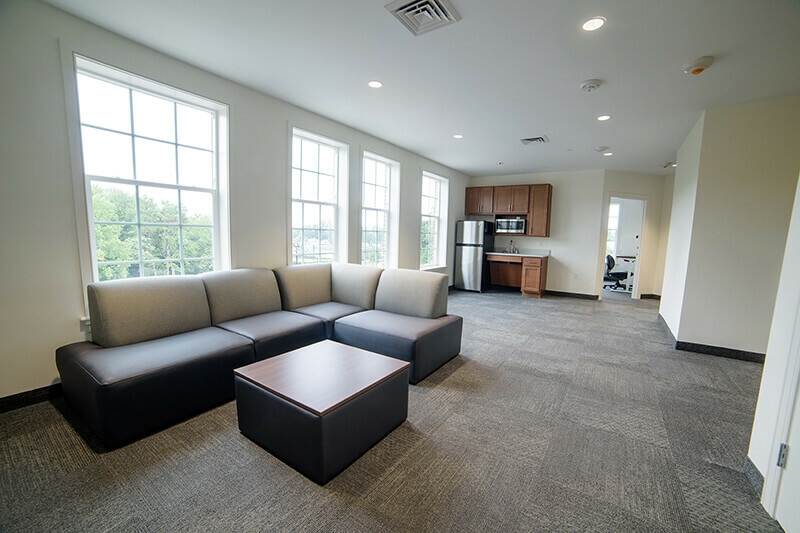 Co-ed by suite, Wilson Hall features a fully furnished apartment with kitchen and three bedrooms with each suite housing six students. 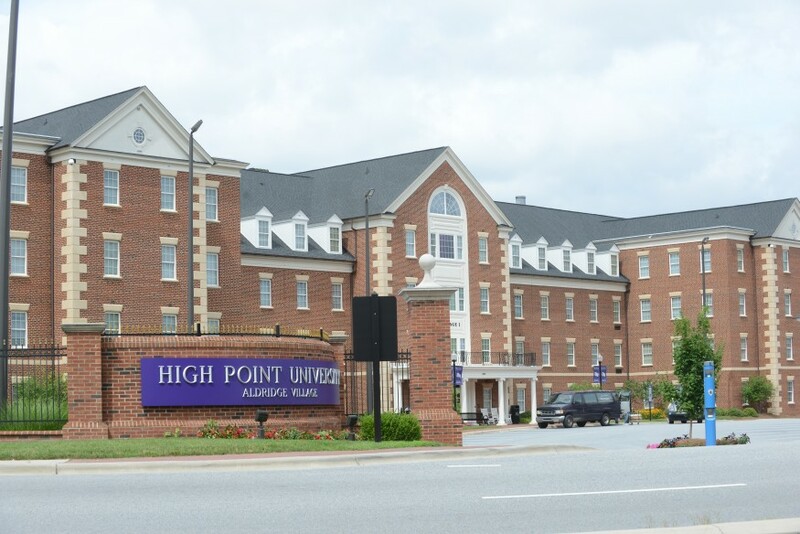 Like all residence halls on the High Point University campus, Wilson Hall features air conditioning, wireless internet, free laundry, and comfortable study areas. 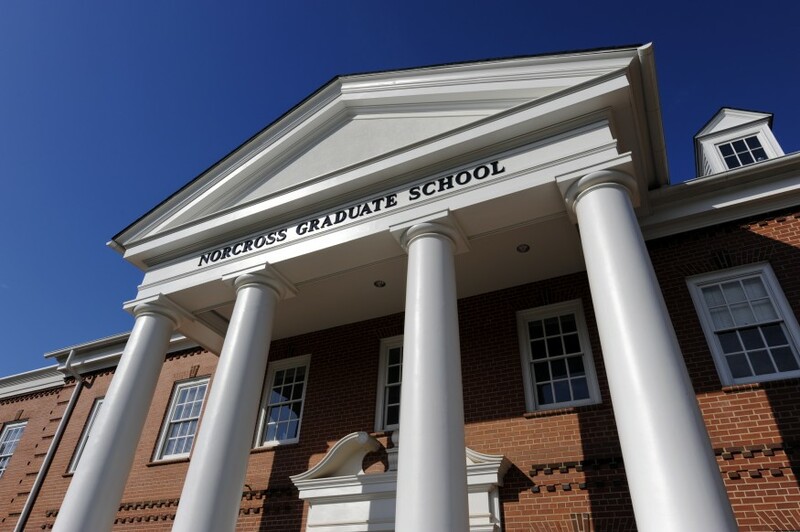 Norcross Graduate School houses several university departments including, the Norcross Graduate School, English Department, School of Health Sciences, and the Office of Information Technology. 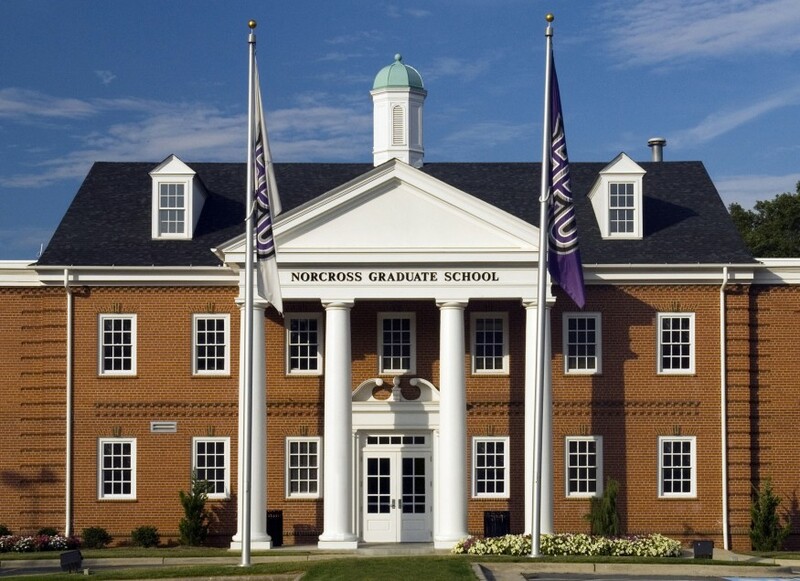 The graduate school offers 10 graduate degree programs, including a new Strategic Communication graduate program, Nonprofit Management graduate program and a Master of Business Administration. Coy O. Williard SR. 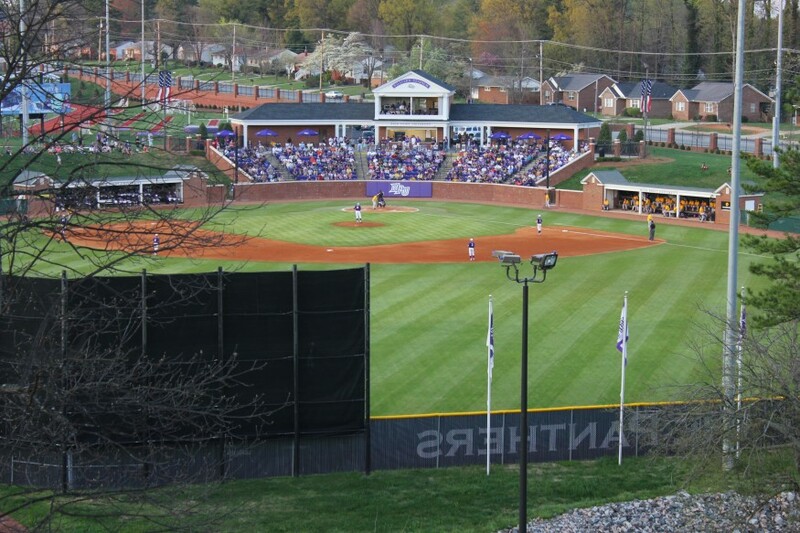 Baseball Stadium is a state-of-the-art facility featuring chair-back seating for 500 fans, plus special guest seating, a press box, concession stand and a video scoreboard. 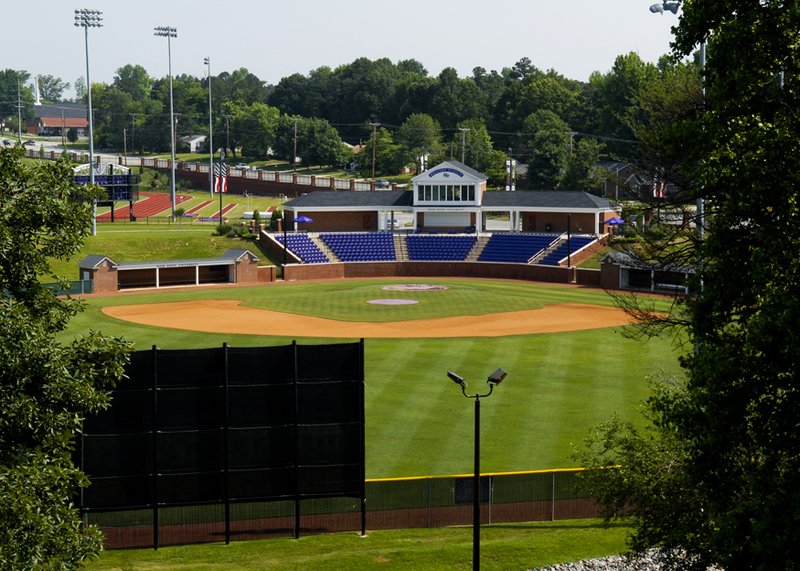 The George S. Erath Baseball Field is part of the stadium. 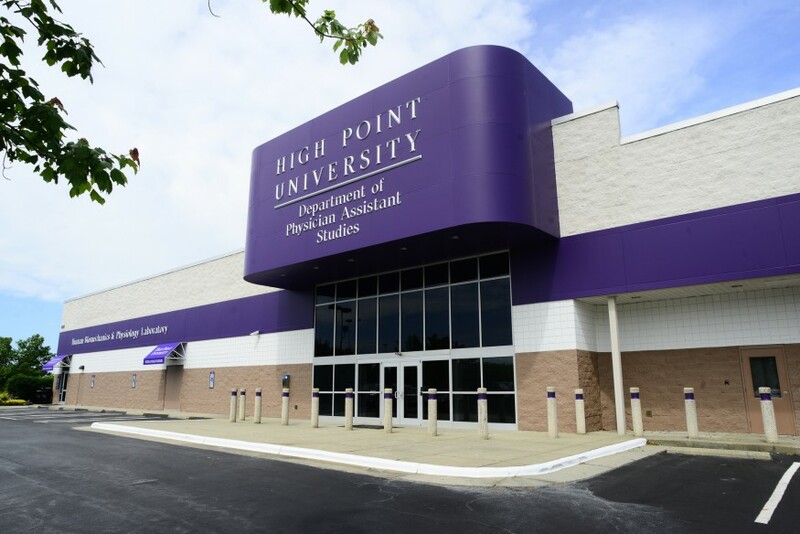 The Department of Physician Assistant Studies is located in a new space in High Point, next to the Department of Physical Therapy (preparing to launch a doctoral program in the near future) and its Human Biomechanics and Physiology Lab. 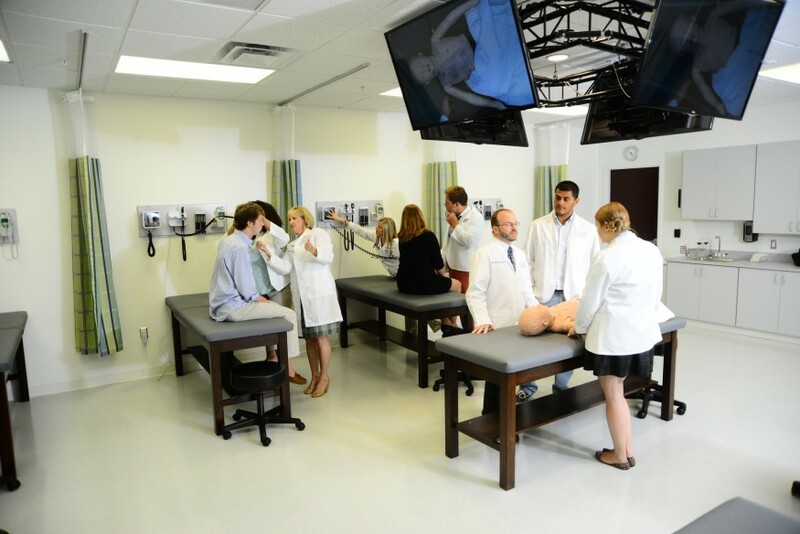 The two departments will move to the $80 million, state-of-the-art Health Sciences building once it’s completed in 2017. 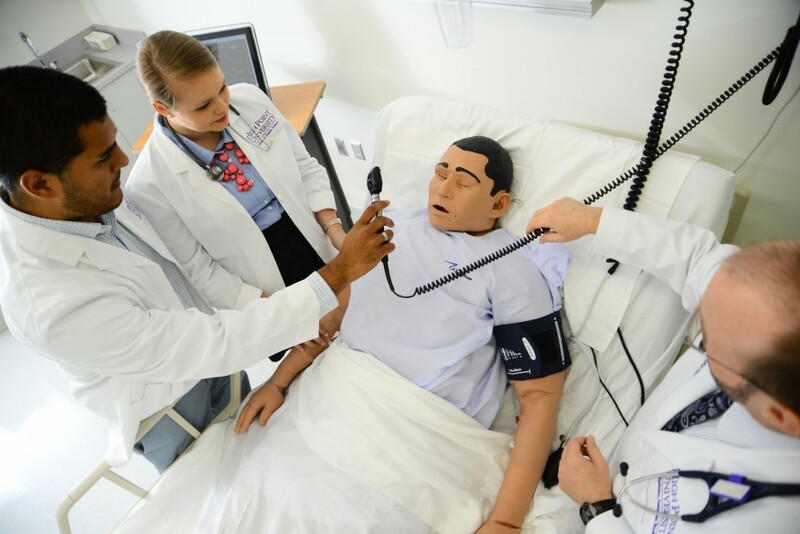 The PA department has two Medical Simulation Labs featuring leading edge technology and four high-fidelity wireless mannequins, including one that will give birth to a simulated baby. 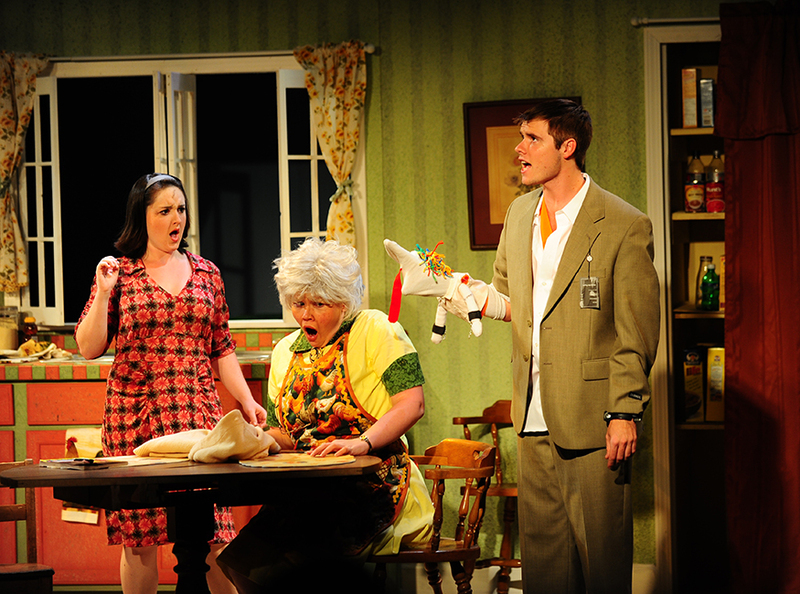 Stan, a male mannequin who lists Grey’s Anatomy among his acting credits, can talk, bleed, cry, convulse and respond physiologically to over 68 intravenous and inhaled medications. 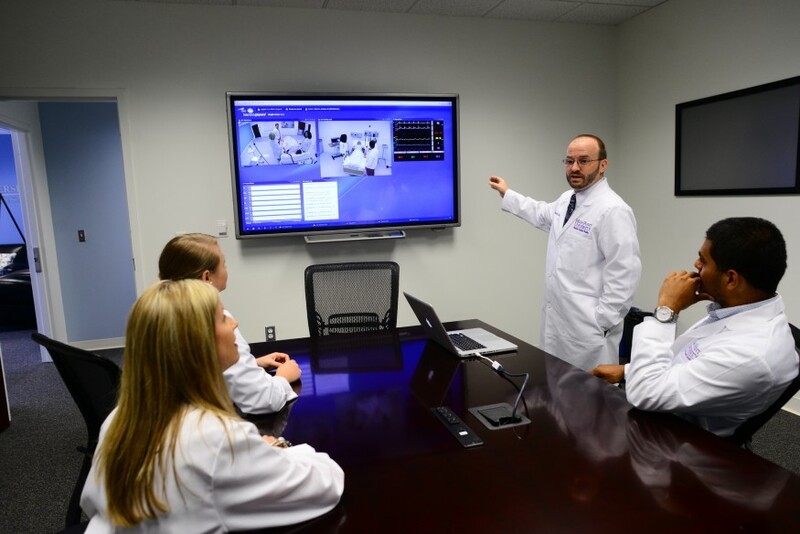 Faculty in an adjacent control room can alter Stan’s physical responses to students’ actions, simulating increased heart rate, change in temperature, allergic reactions and much more. 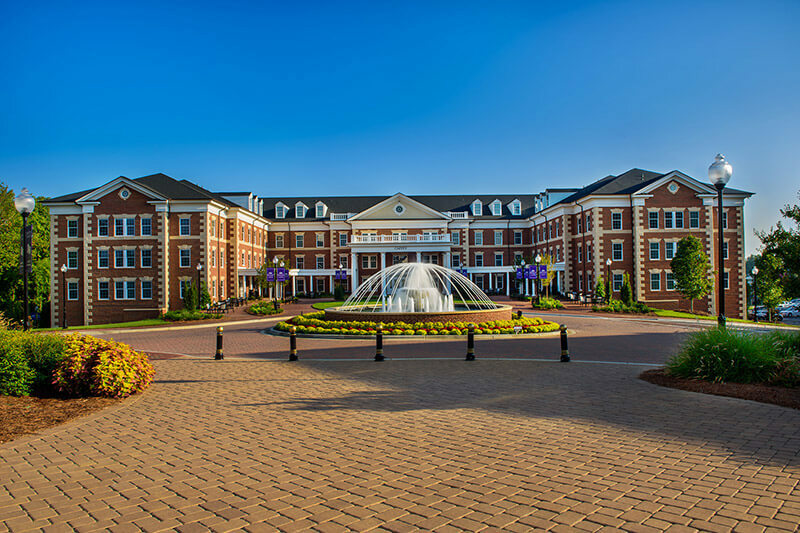 We are pleased to announce the development of the Fred Wilson School of Pharmacy at High Point University in High Point, NC. 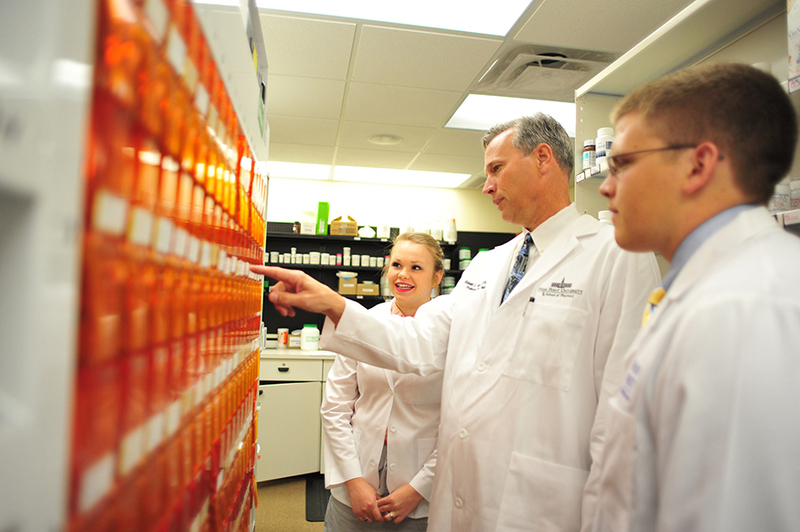 The School of Pharmacy will offer a six-year PharmD degree and is scheduled to welcome its first class in fall 2016. 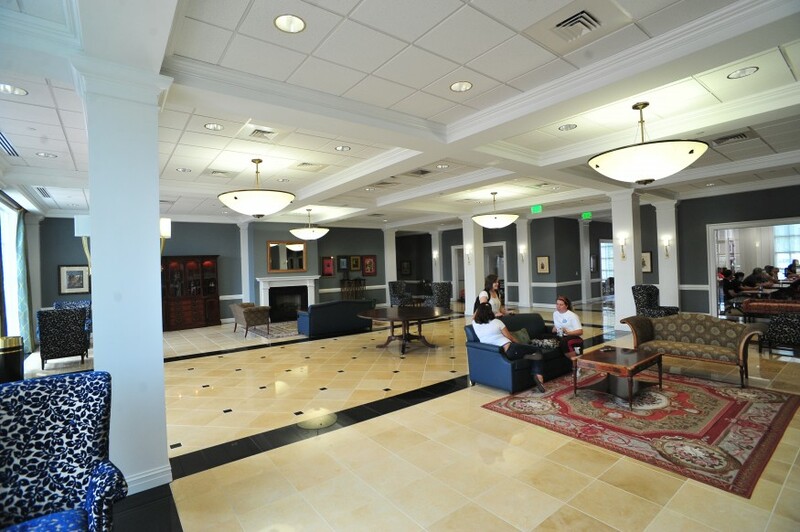 Caffey Hall is the university’s newest residence hall, which opened in August. 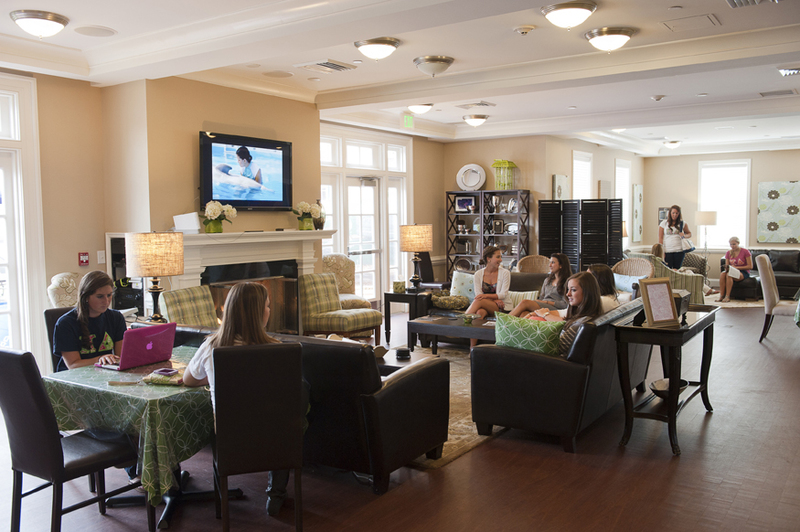 The 150,000-square-foot living and learning community houses 308 students in the heart of campus and includes a large community kitchen, a game and theater room, a recreation facility and several group and private study spaces. Centennial II will be very similar in layout to Centennial Square townhomes. 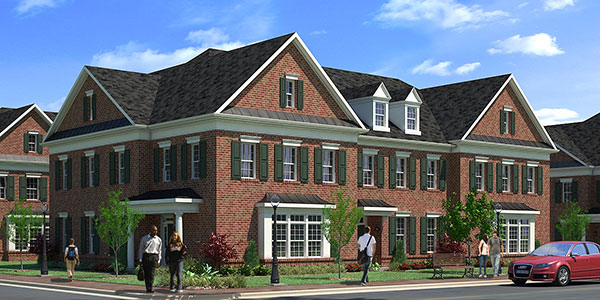 Each townhome has five single rooms with full-size beds, and one double-occupancy bedroom with twin-size beds. 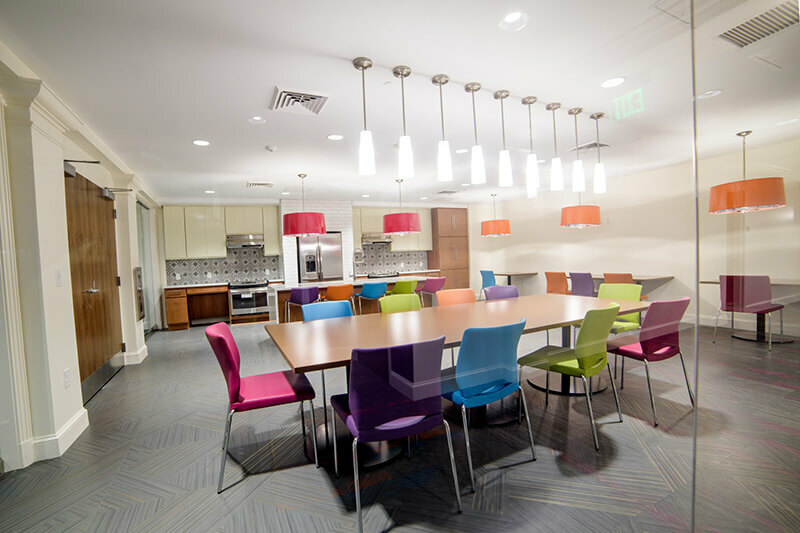 Amenities include; shared living area, dining room, full-size kitchen (which includes a dishwasher), and laundry room in each facility, as well as access to the Centennial Square Center, which includes a learning commons study space, and recreation facilities. 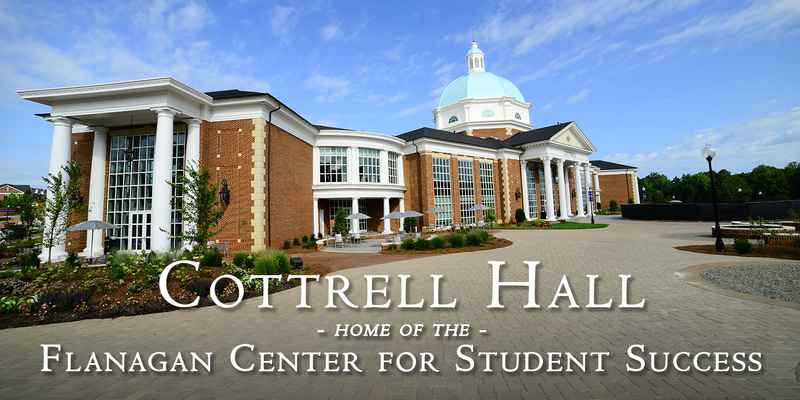 Cottrell Hall opened in the fall of 2015 after being completely funded by gifts from parents of HPU students. 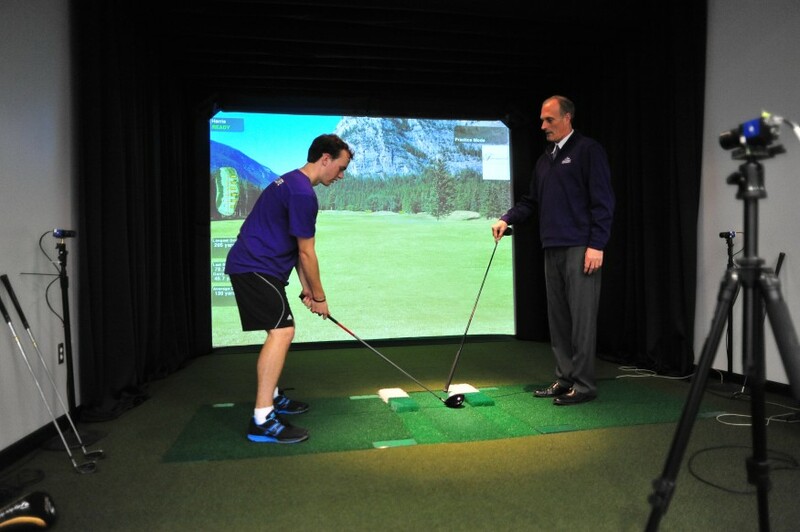 Inside, the university has expanded experiential learning opportunities while also bringing them together under one roof. 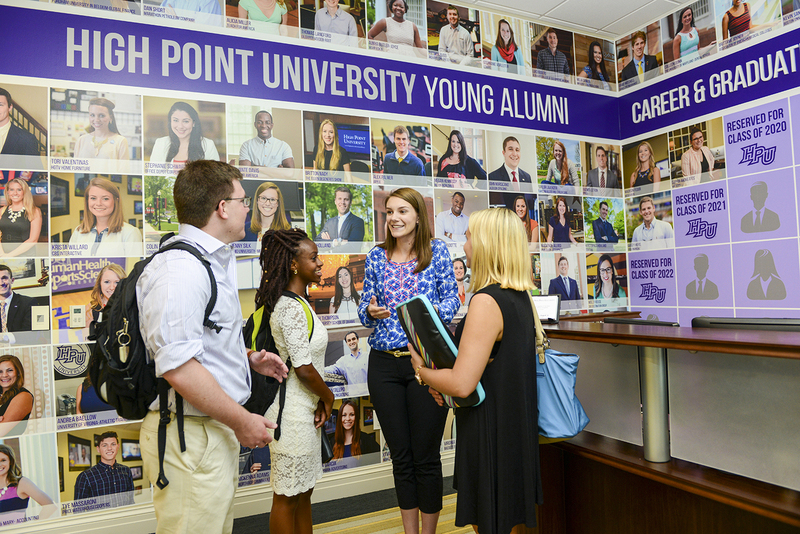 From Career and Professional Development, to Internship Resources, to an Entrepreneurship Center, students develop the ability to connect the dots between the experiences amassed during their time at HPU. Two kiosks on campus offer quick, free snacks and drinks for students on their way to and from class each weekday. 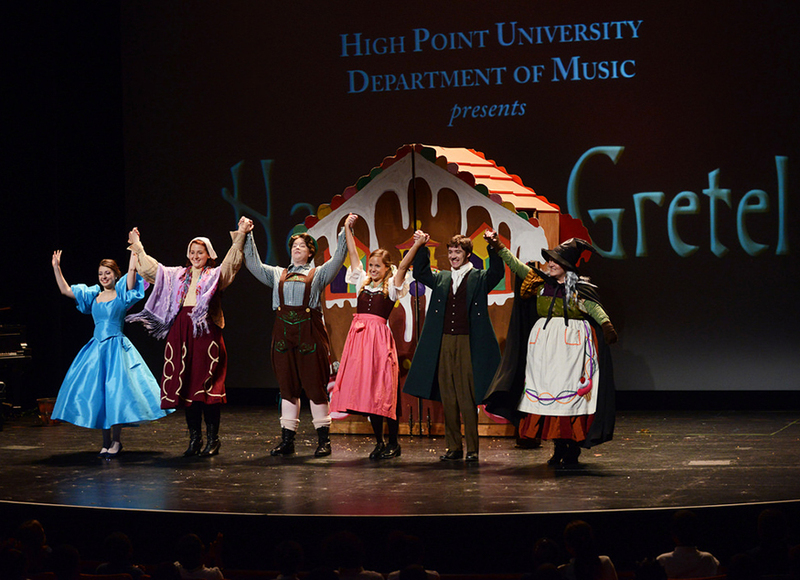 Just one example of how HPU models the value of generosity. 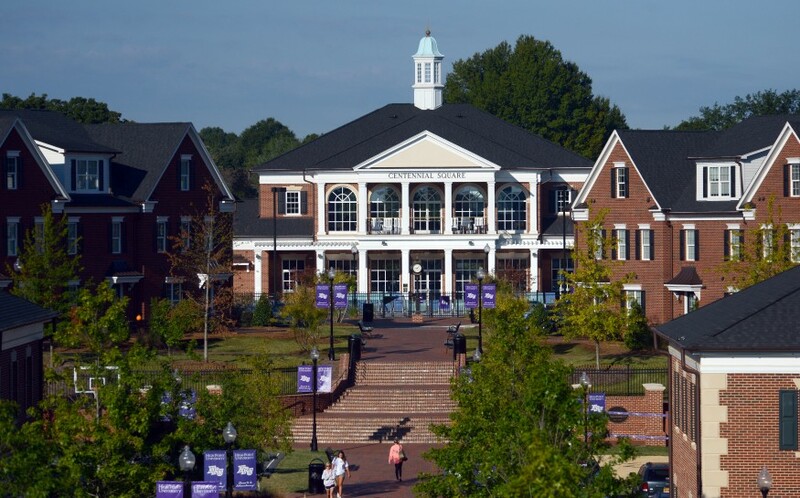 Roberts Hall was the first structure to be built when High Point College was founded in 1924. 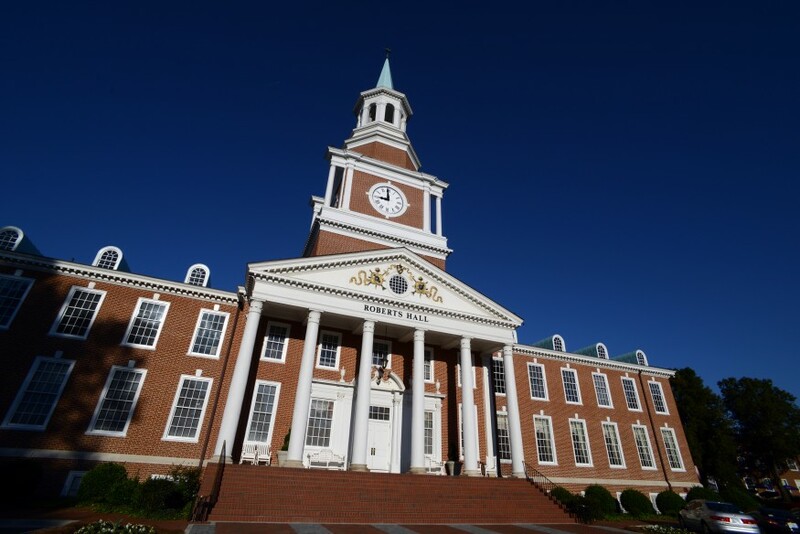 Today, it functions as HPU's administrative building and remains a prominent campus landmark with its adorning clock tower. 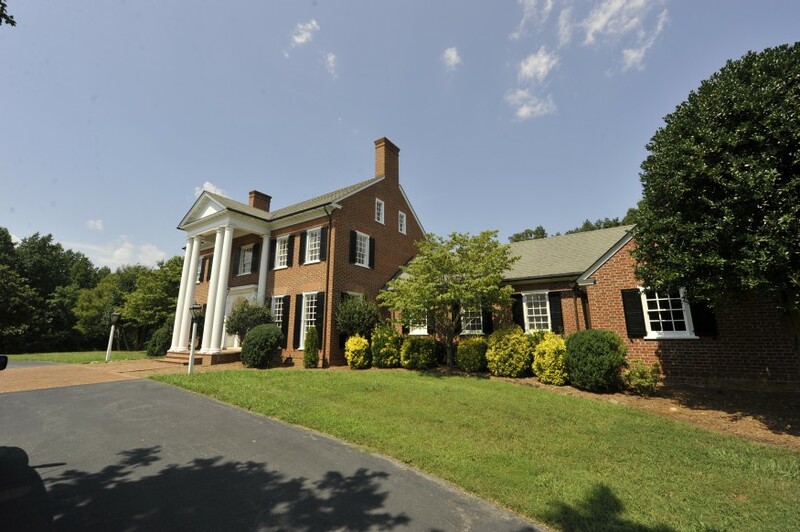 The building contains administrative offices including the Office of the President. 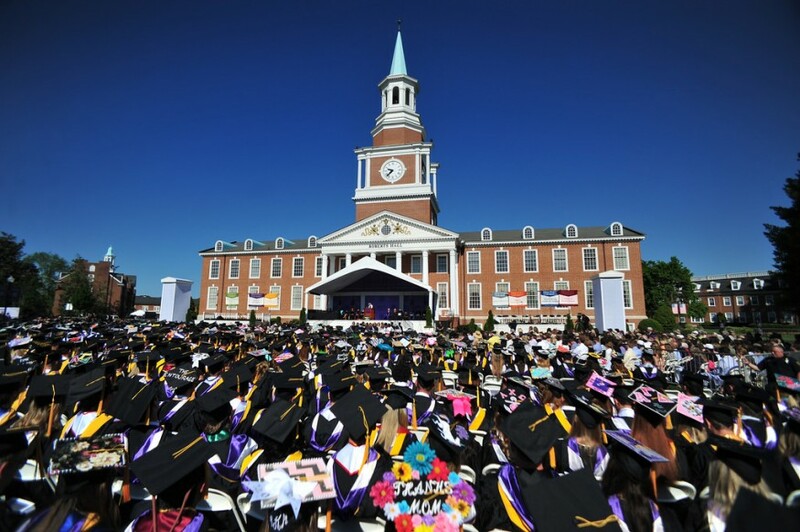 Commencement takes place on the Roberts Hall lawn each year, using this spectacular building as a backdrop for the ceremony, attended by more than 10,000 students, faculty and guests. 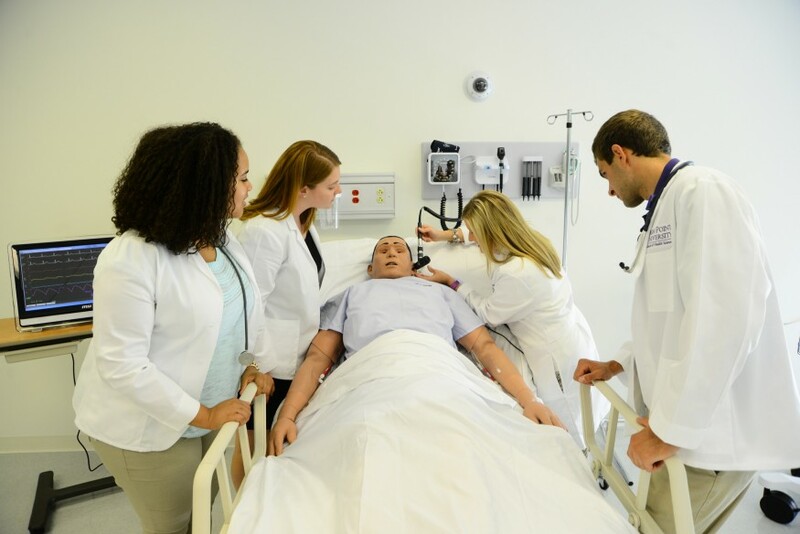 The School of Health Sciences began offering two new programs this year – a master’s degree in physician assistant studies and a master’s degree in athletic training, in addition to its existing exercise science bachelor’s degree program. 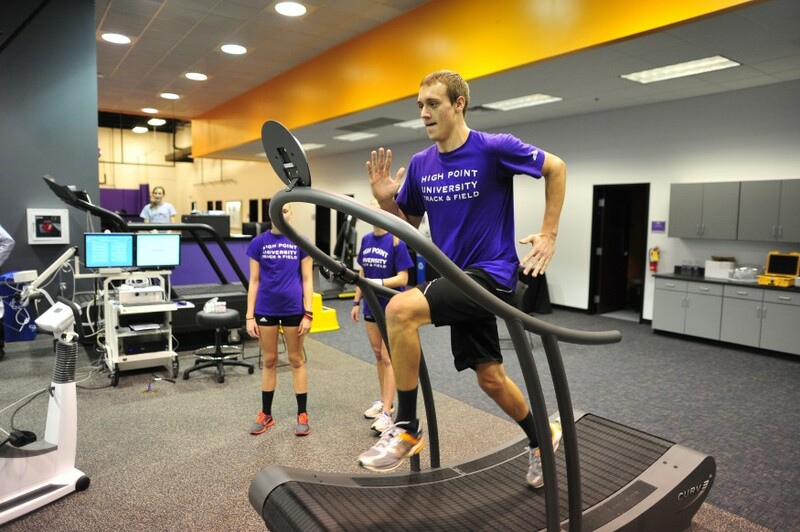 It will grow to offer a doctoral degree in physical therapy starting in 2017. 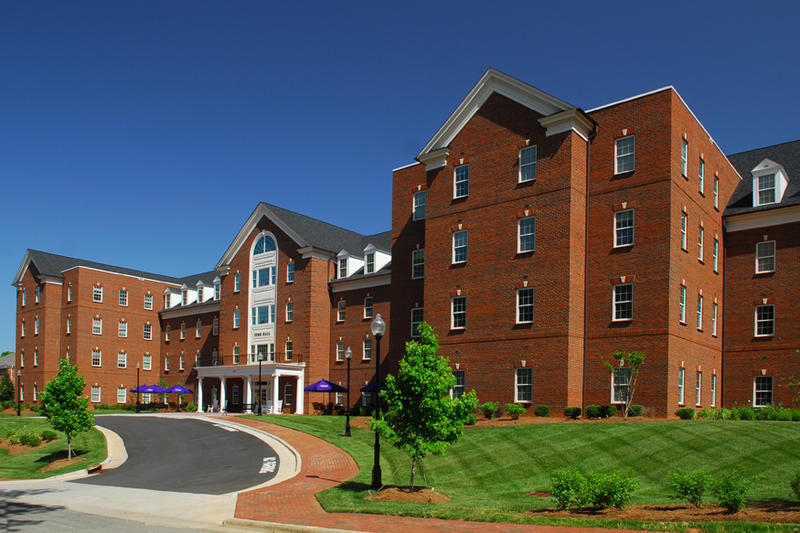 Caroline Nichols McEwen, Susanna Wesley, North & Yadkin Residence Halls are known as "The Complex" on campus. 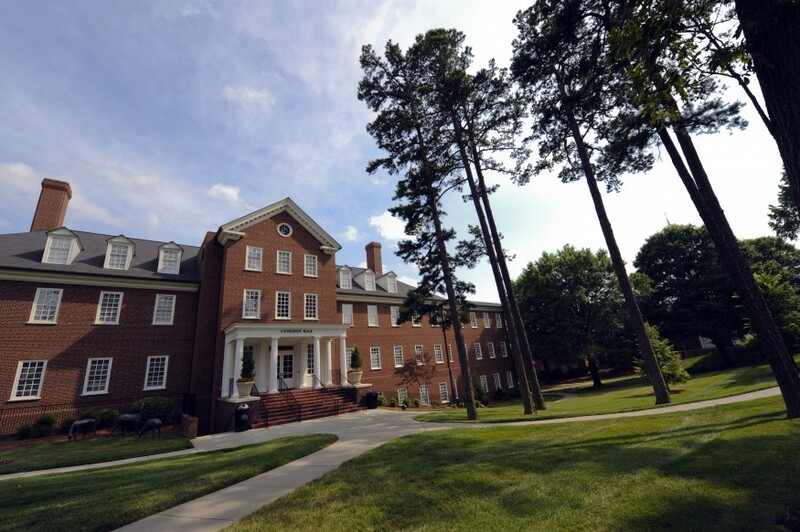 McEwen and Wesley house over 150 female students, and all of the dorms are connected. 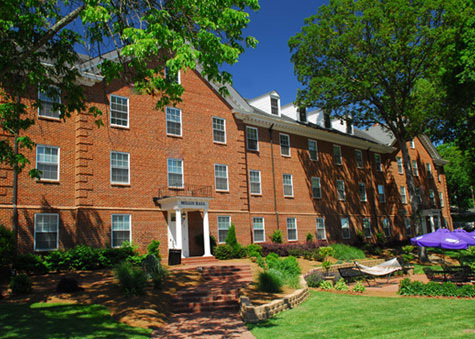 North Hall is a residence hall for 98 students with two students per room. 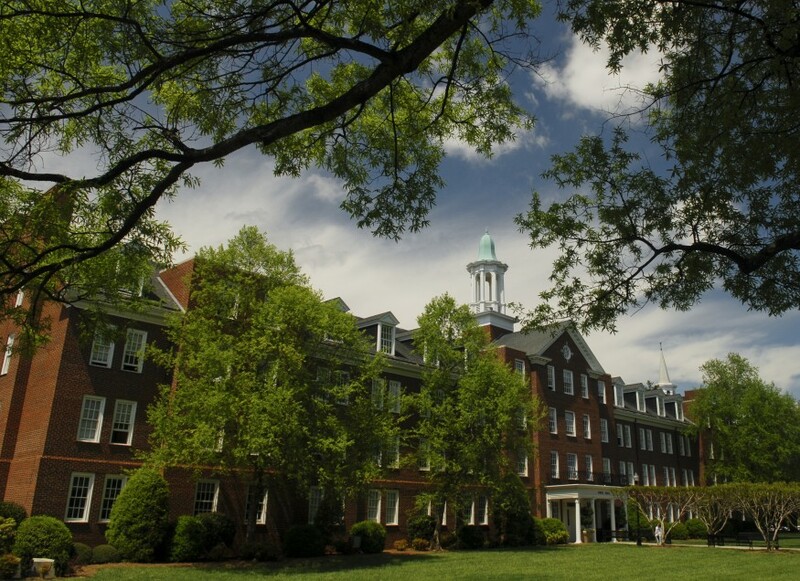 Yadkin Hall accommodates 100 students. 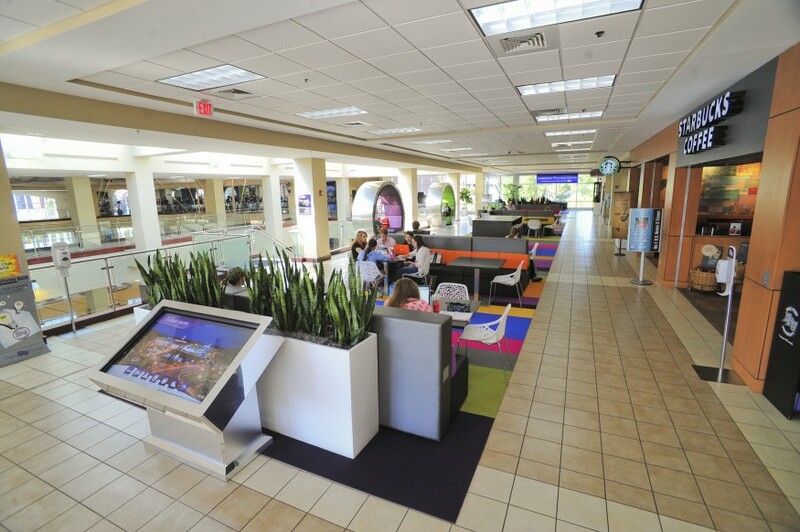 The buildings, like all residence halls on campus, are completely wireless, have plasma TVs in the common areas and provide comfortable study areas. 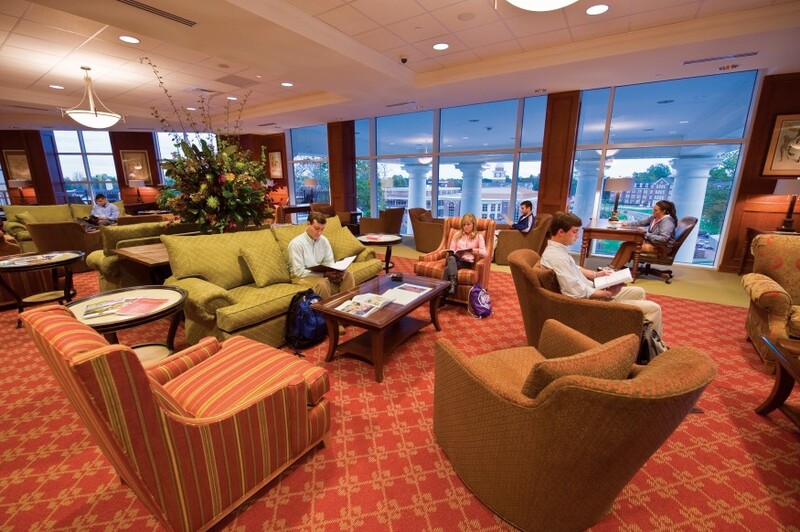 Herman H. and Louise M. Smith Library currently houses more than 325,000 volumes and has access to more than 38,000 full-text journals. 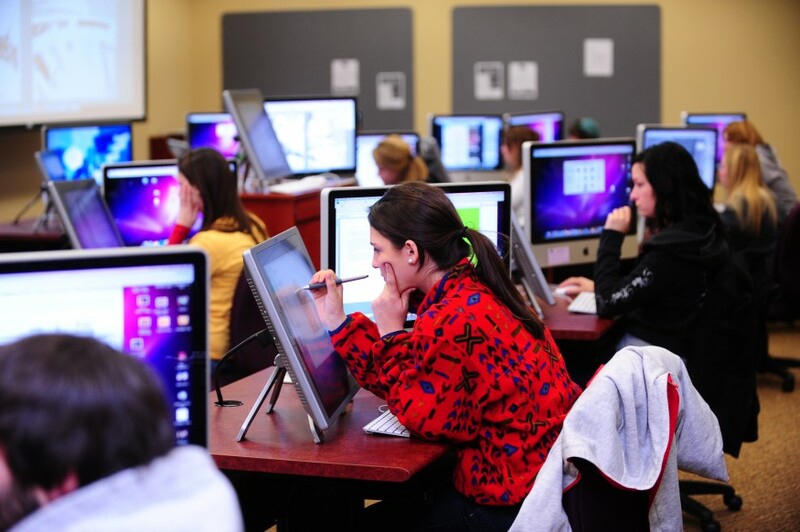 It is the second college in North Carolina to implement a new library catalog, called the OCLC Web-scale Management Services, with Web-based services in an effort to increase access to a wealth of information. 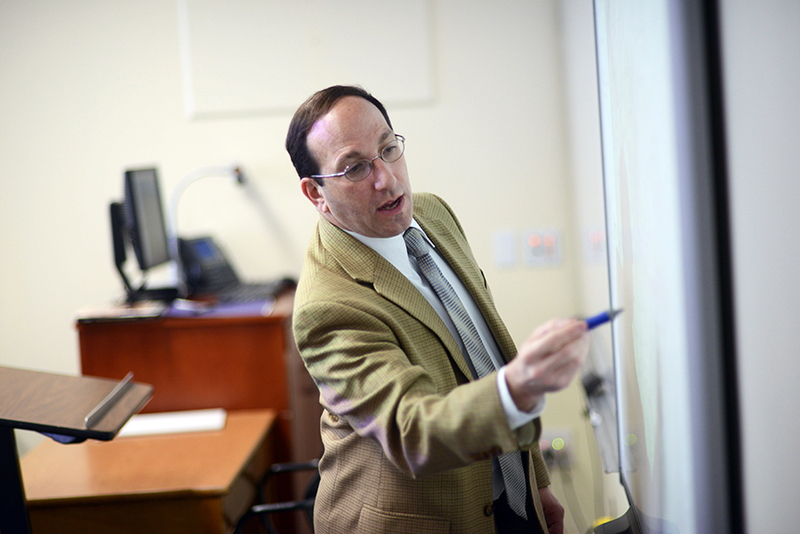 The new system allows students to access data in a search platform that's similar to Google in format and speed. 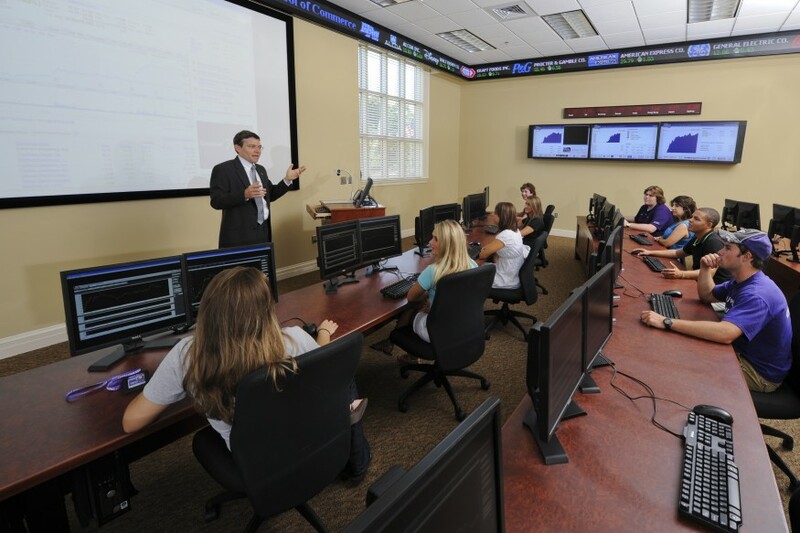 The library houses Media Services, which assists faculty and students with digital productions and presentations. 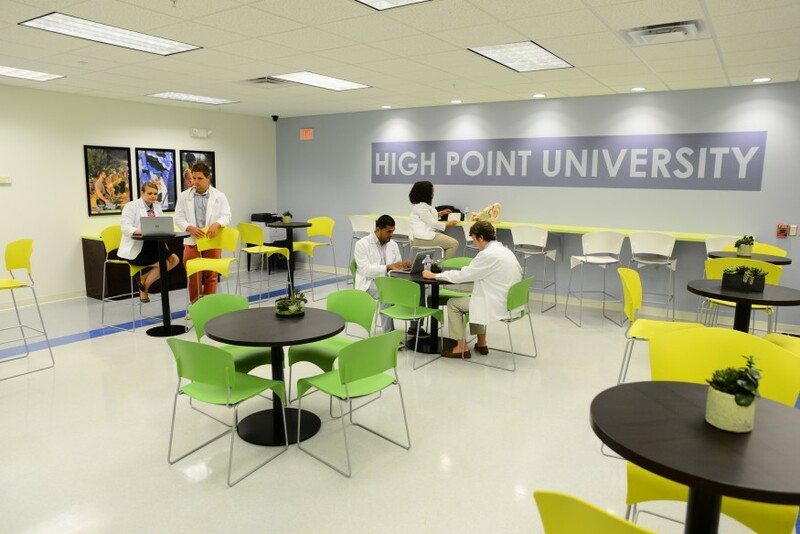 It also houses the Academic Services Center and the Learning Excellence program that caters to individual students' needs to get the most out of their educational experience at HPU. 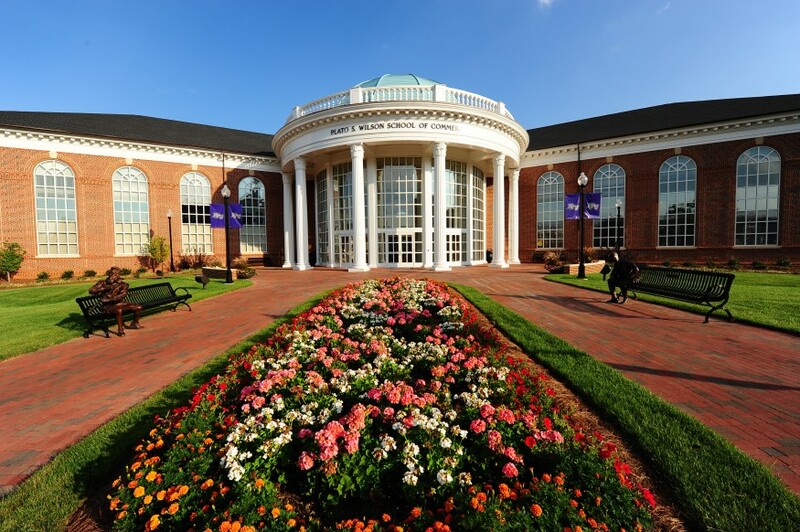 The John and Marsha Slane Student Center is the definitive center of activity for HPU students (90,000 square feet). 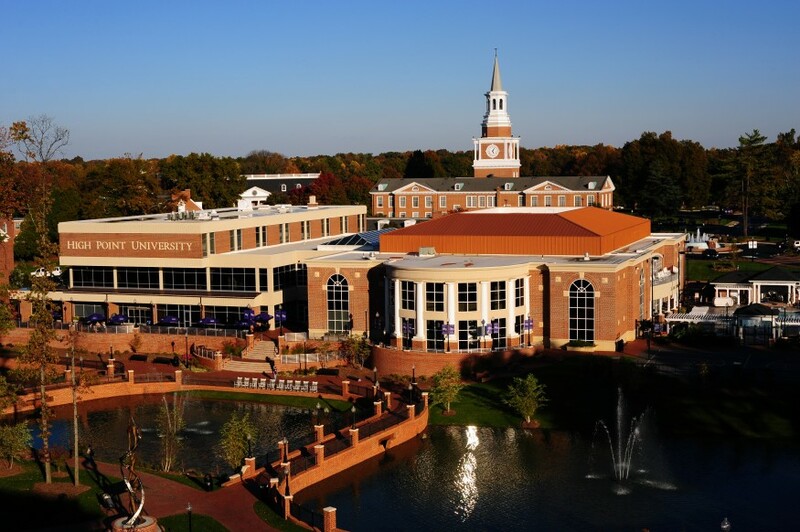 The university's 450-seat Cafe, campus post office, Barnes & Noble bookstore, meeting rooms and recreation areas- including a basketball court, aerobics room, cardiovascular center, fully equipped weight room and indoor running track are located here. 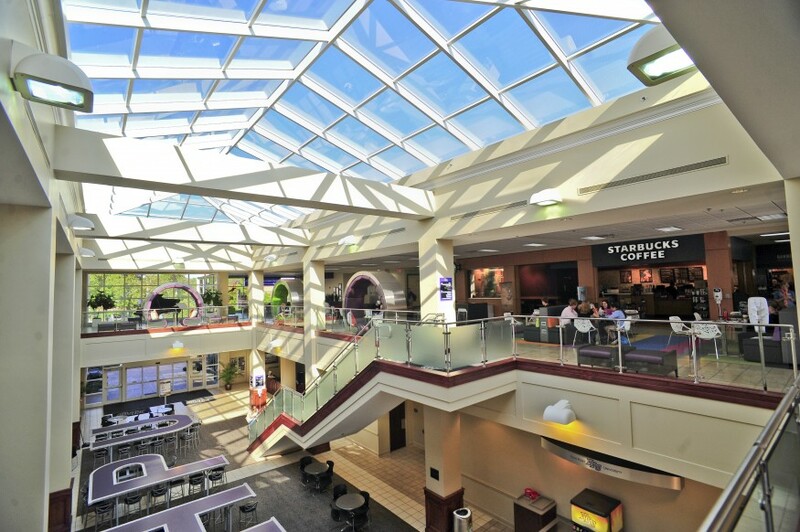 The grand, two-story glass atrium connects different aspects of the building with a food court that includes Chick-Fil-A, Subway and Starbucks. 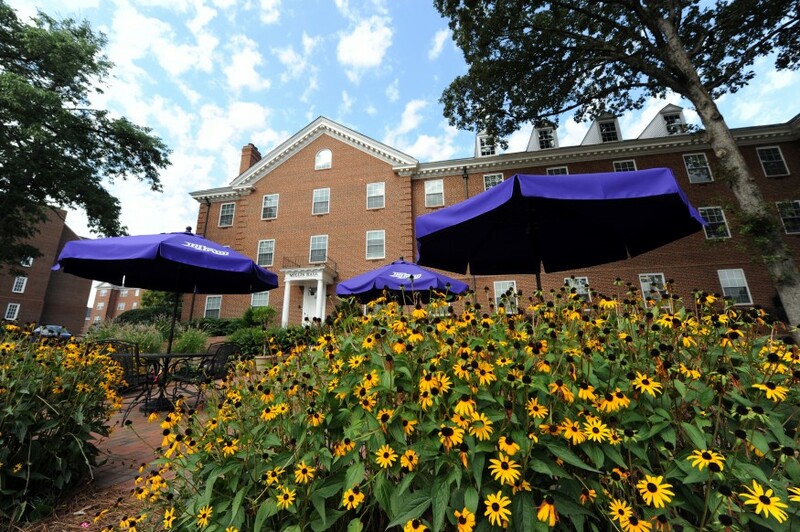 Outside, Slane is a popular gathering place for students offering a tiered dining terrace, basketball courts, and the Maynard Swimming Facility. The R.G. 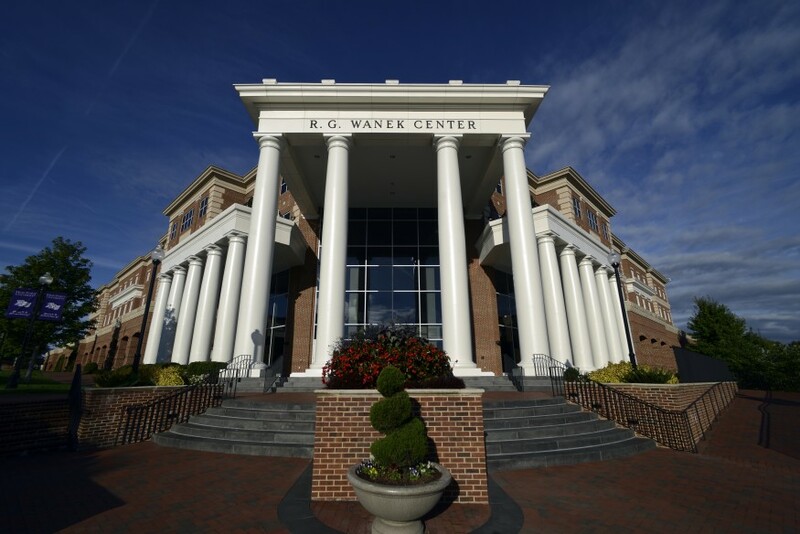 Wanek Center serves as a landmark among buildings on campus. 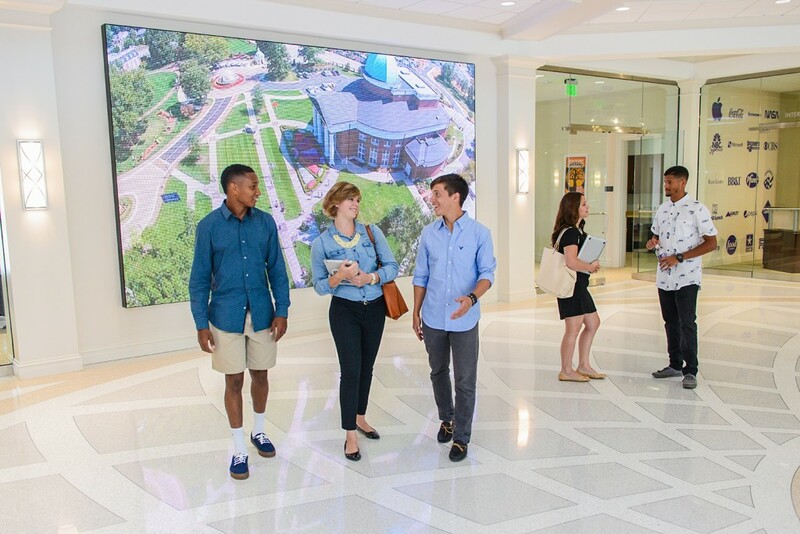 The $70 million, 277,000-square-foot building includes a residence hall for 530 students, a 24/7 learning commons with research assistance, multiple dining options, a 200-seat theatre, and an arcade. The university's learning lab steakhouse, 1924 PRIME, is located on the 4th floor. Serving four-course meals by reservation only, each student gains confidence through continuous exposure to proper social and dining etiquette. 1924 PRIME requires appropriate dress and does not allow cell phones or mobile devices. 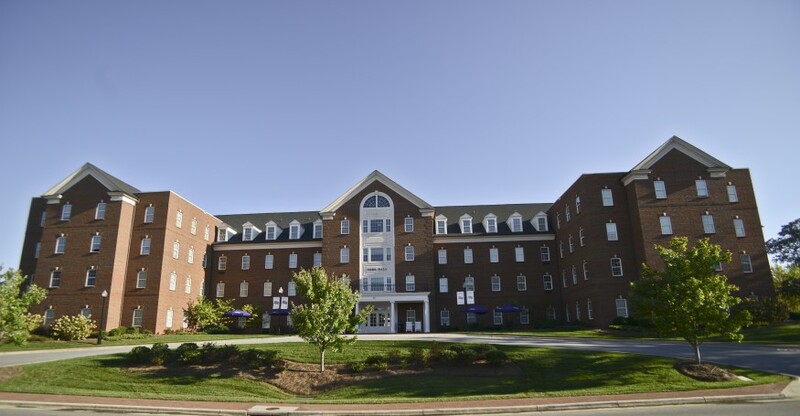 York Residence Hall consists of 208 fully-furnished private suites. 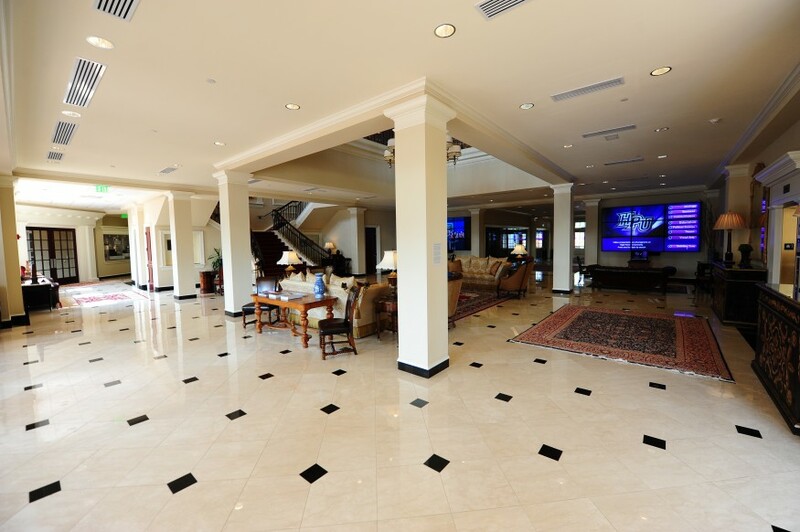 Each suite includes bathrooms, a full kitchen, a dining room and a living room. 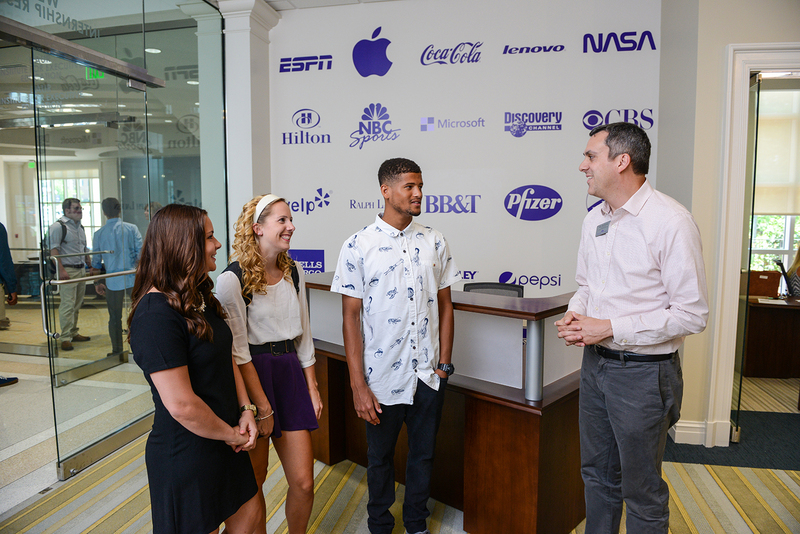 There is also an Honors Floor where students in the university's competitive Honors Program may reside. 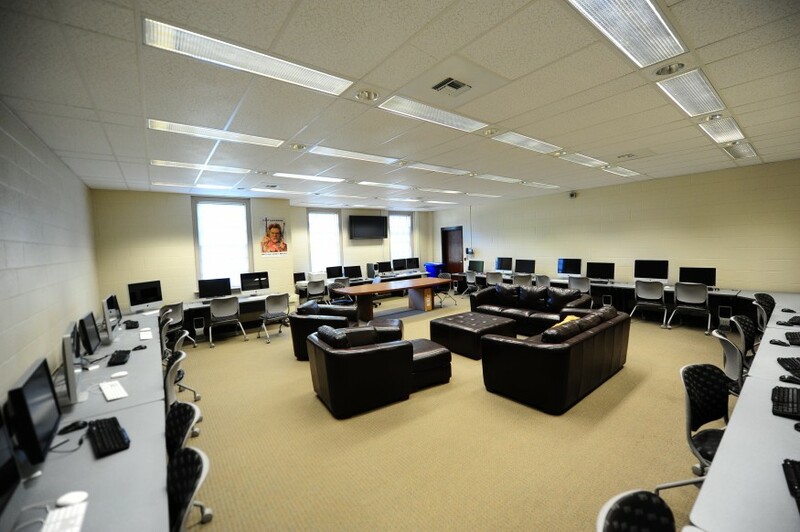 Each floor offers a learning commons, computer lab, and conference area. 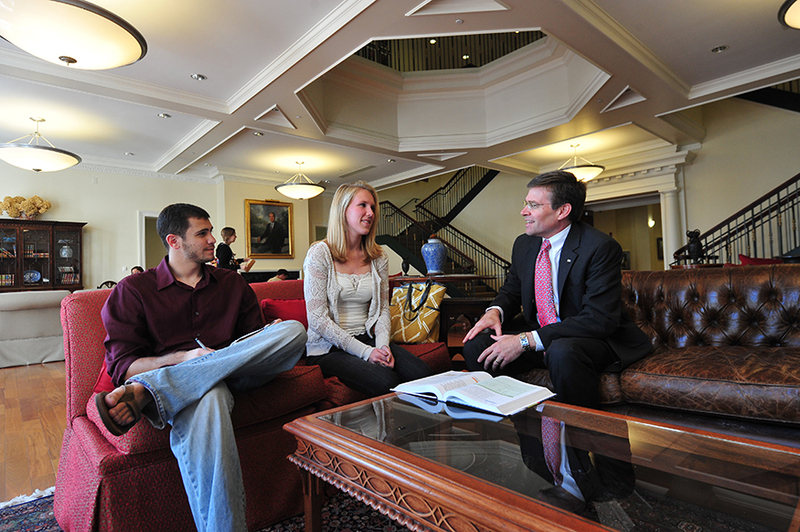 Our Honors Program is housed on the 3rd and 4th floor of York. 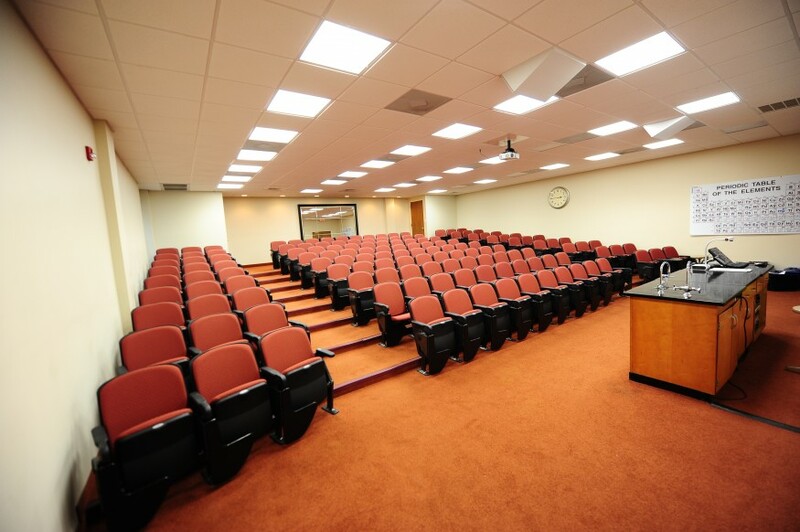 This for students in the Honors Program who want a quieter more academically focused environment. 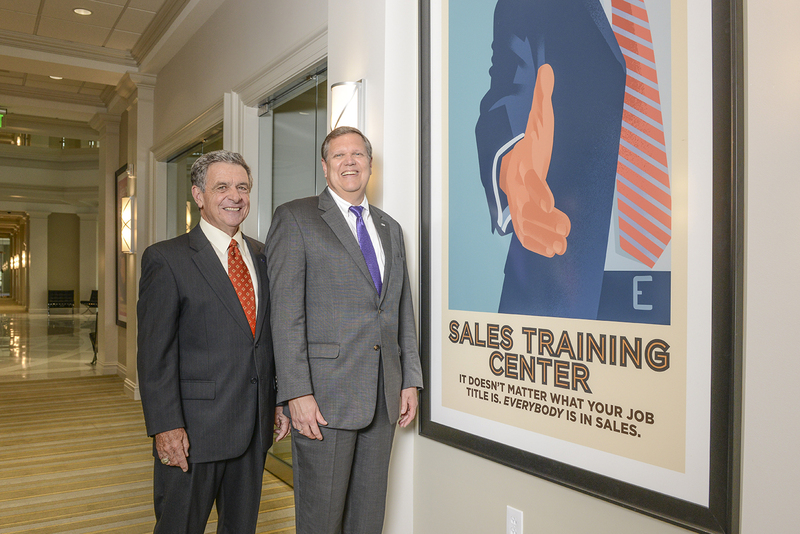 Plato S. Wilson School of Commerce is home to many disciplines including economics, sales and small business development and more. 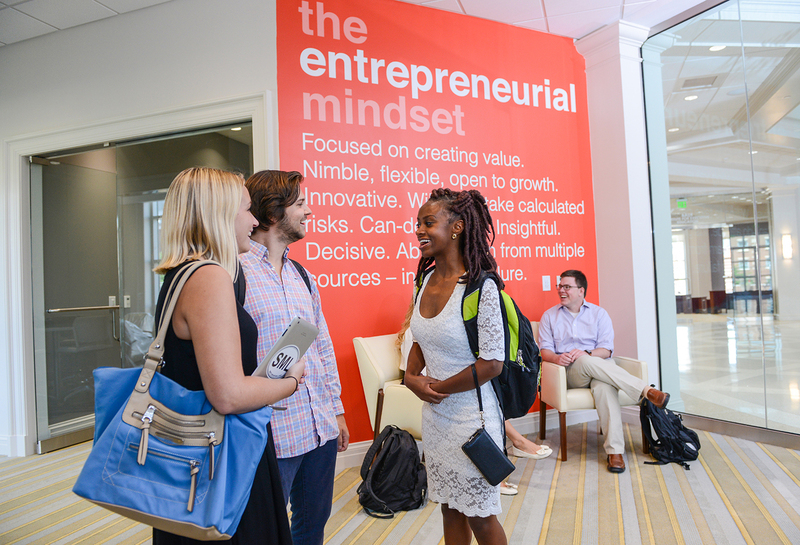 It is the only program of its kind in the U.S. combining the study of business, home furnishings, interior design, entrepreneurship and commerce. 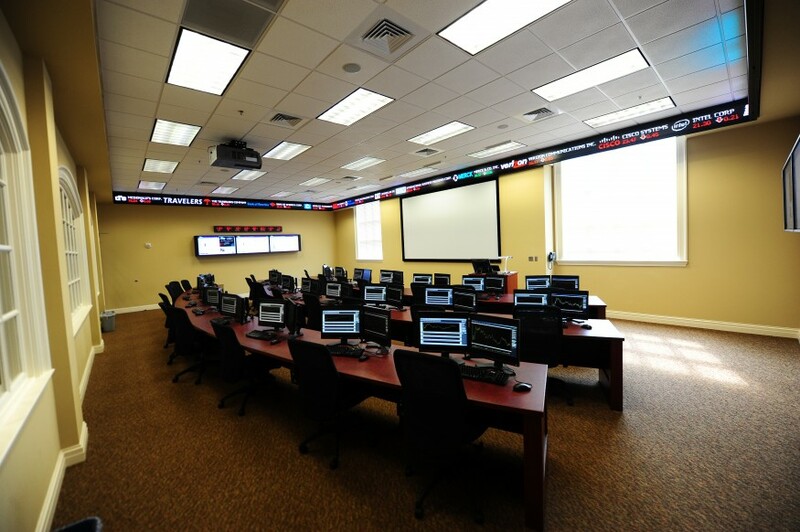 The 60,000-square-foot building houses a stock trading room with live financial databases such as Standard & Poor's, providing students with the same technology found on the trading floor. 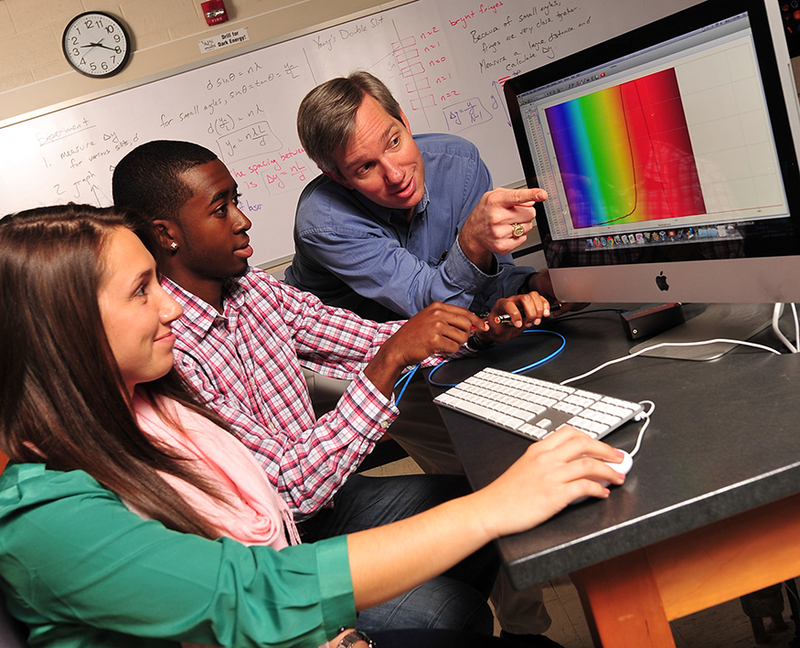 A Mac design lab and a center for small business and entrepreneurship are also housed in the building. 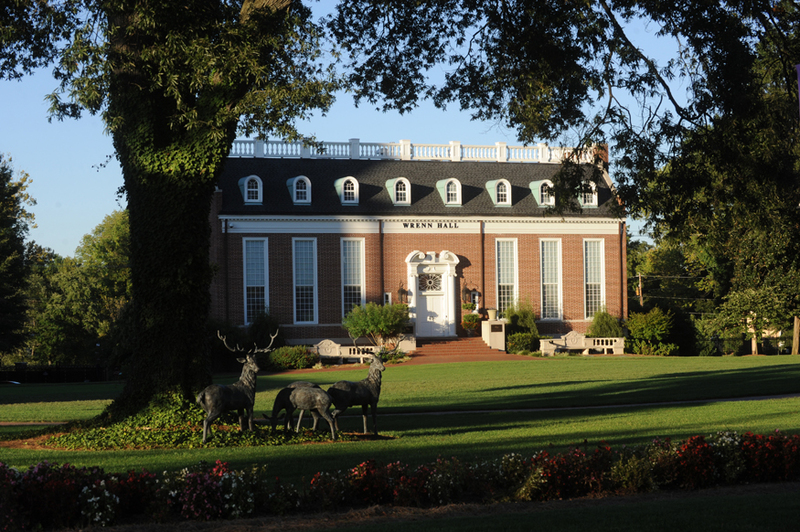 Patrick H. Norton Hall houses the Knabusch-Shoemaker International School of Home Furnishings and Design. 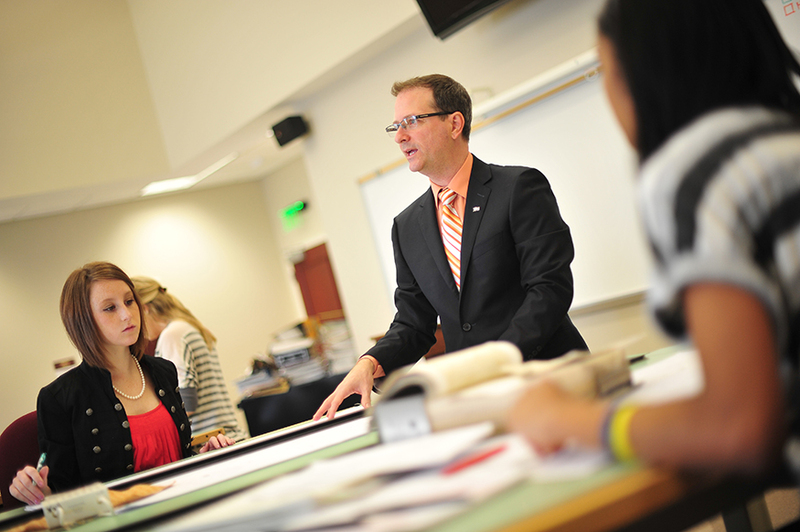 The school is ranked one of the top 10 Undergraduate design programs in the country by “DesignIntelligence” journal. 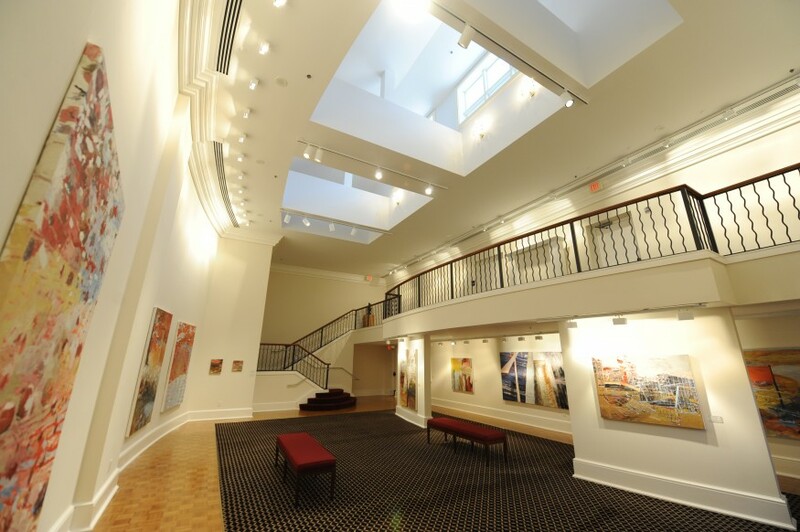 Surrounding a three-story atrium are classrooms, a computer-aided design (CAD) lab, design studios, a display gallery, advanced technology lecture rooms and a lighting lab and textile room. 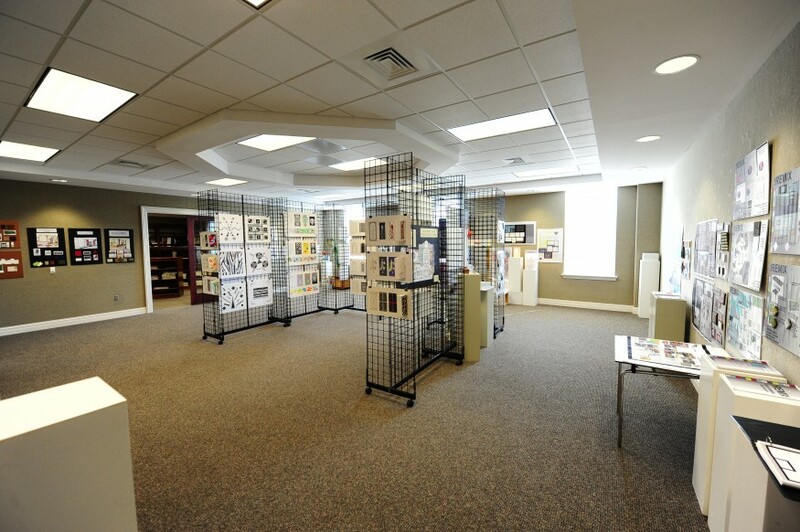 The Home Furnishings library contains reference books, trade magazines and numerous periodicals all for home furnishings and interior design majors. 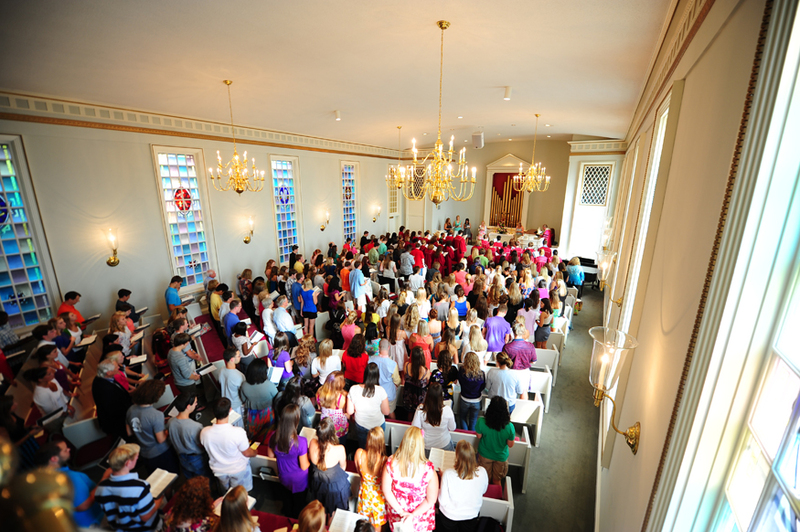 Charles E. Hayworth, Sr. Memorial Chapel hosts weekly chapel services in a space which seats up to 375 people. 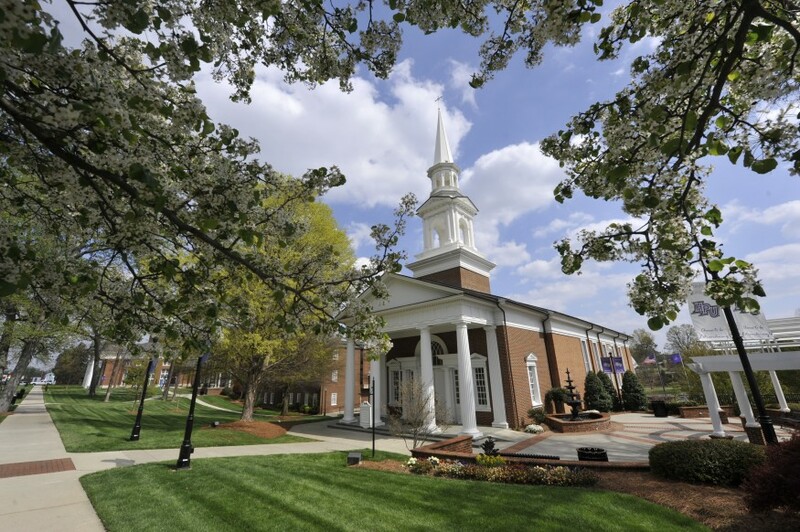 The building offers meeting rooms and a fellowship hall for campus meetings, socials, and weddings. 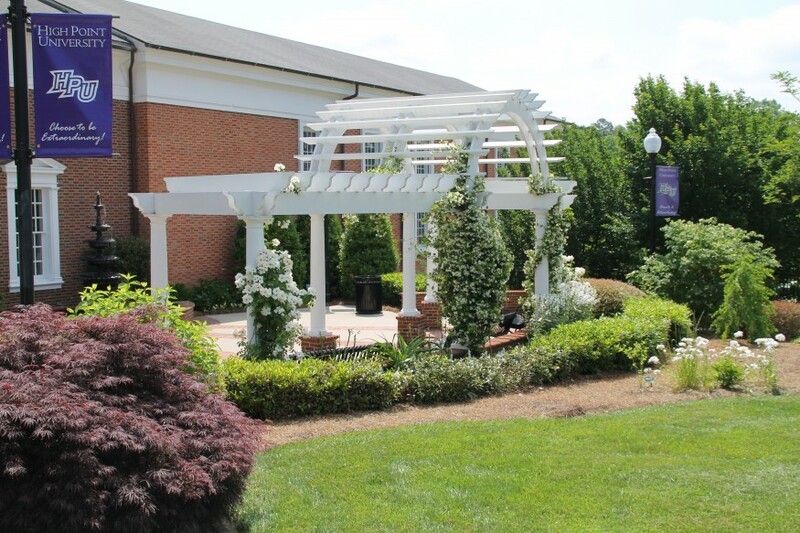 The chapel meditation garden provides an outdoor fellowship space. 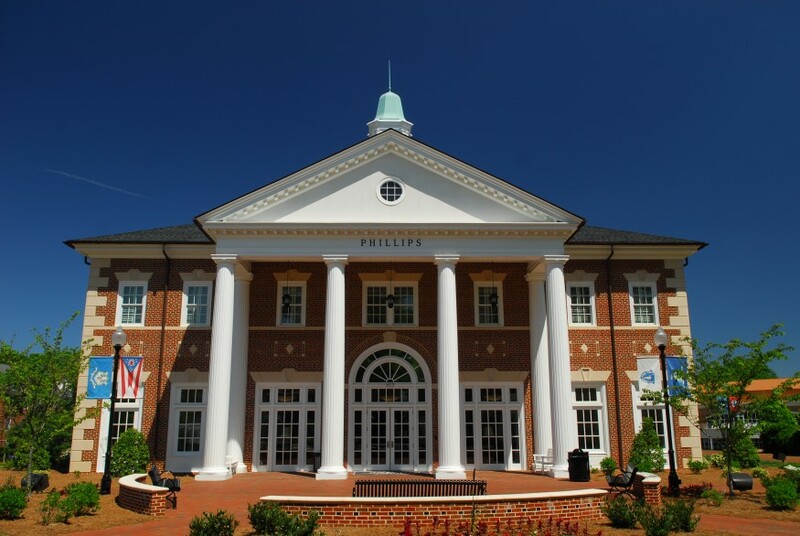 Phillips Hall houses the Earl N. Phillips School of Business. 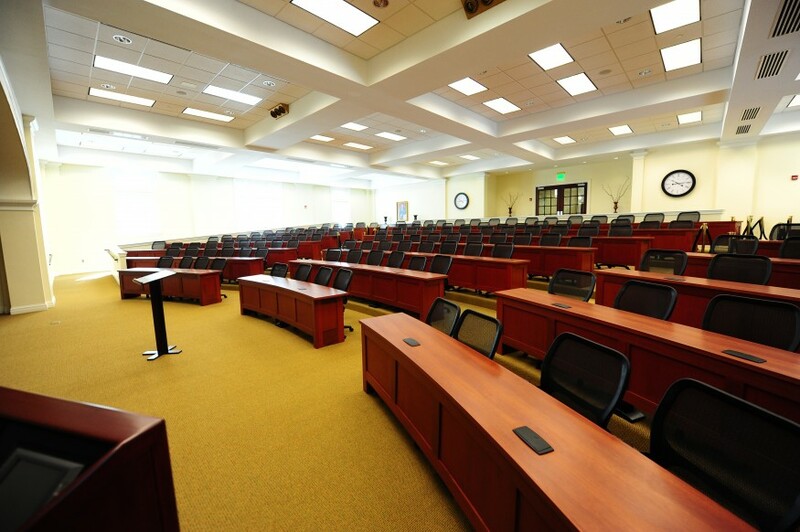 This spectacular building includes state-of-the-art computers labs, innovative classrooms with touch screen technology, a spacious auditorium, and a guest lecture hall that seats 168. 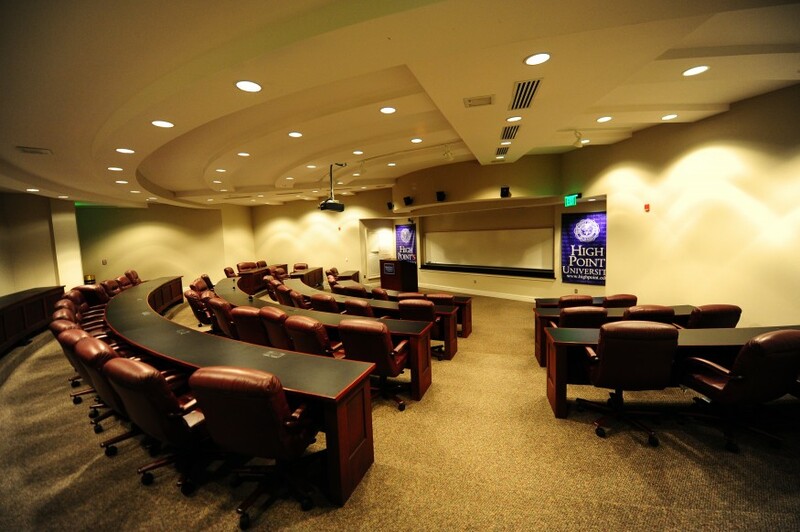 It also includes tiered lecture rooms, conference rooms and private study rooms, all accented by two stone fireplaces found in the lobby. 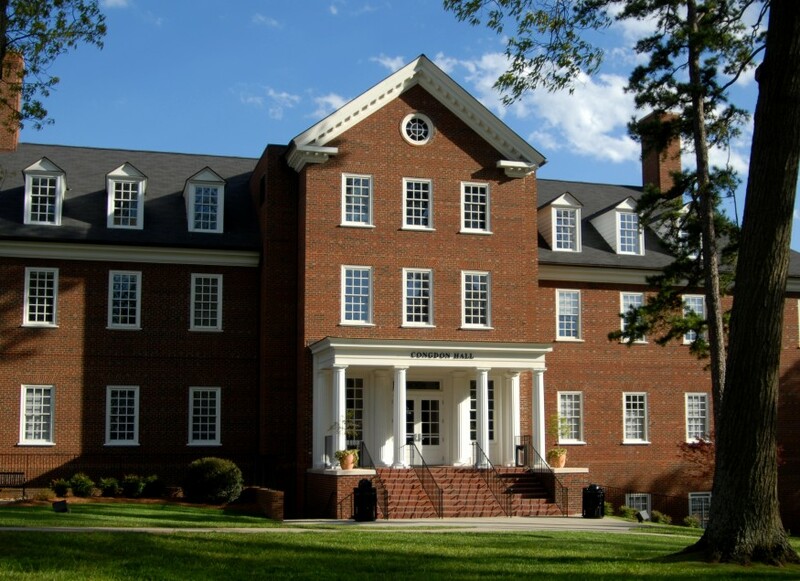 Completed in 1987 and renovated in 2006, Finch Hall houses 184 male students, majority of the population being first year students. The rooms are double and single occupancy and are arranged in suites; rooms in Finch feature a connecting bath with a walk-in shower. 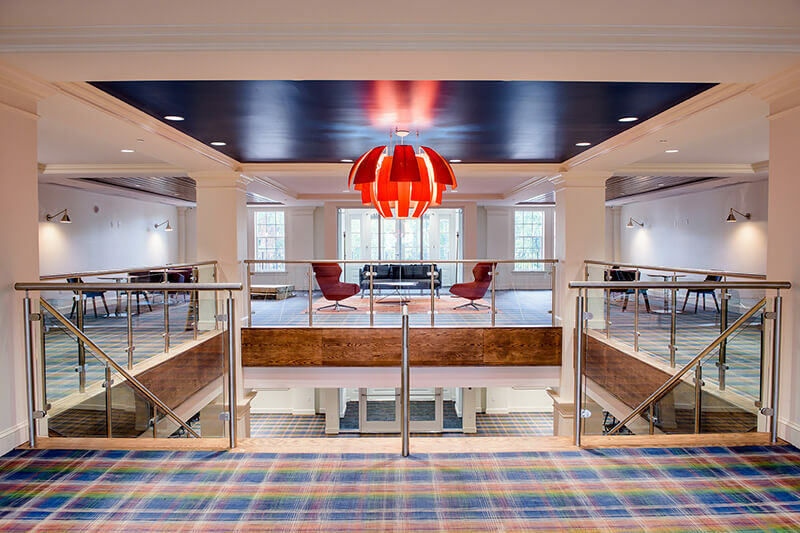 Each floor has a common lounge featuring pool tables, air hockey tables, plasma televisions, and comfortable furniture to study or just relax. 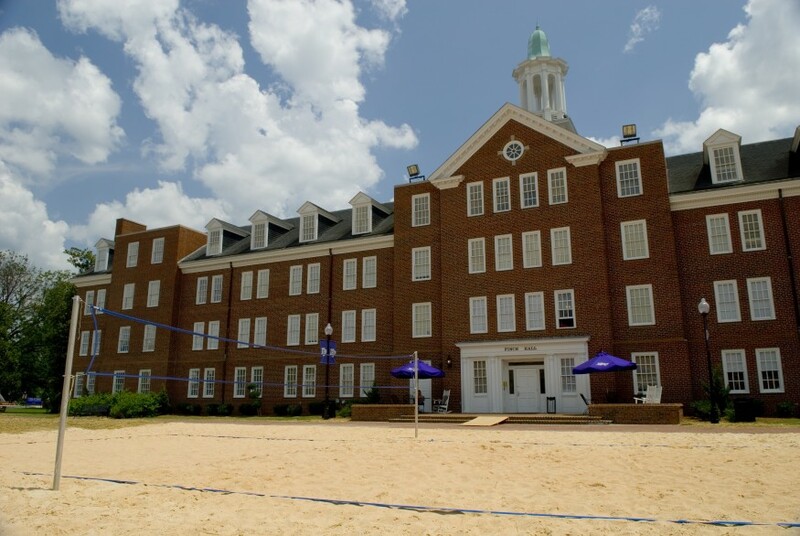 Behind Finch Hall is an outdoor volleyball court. 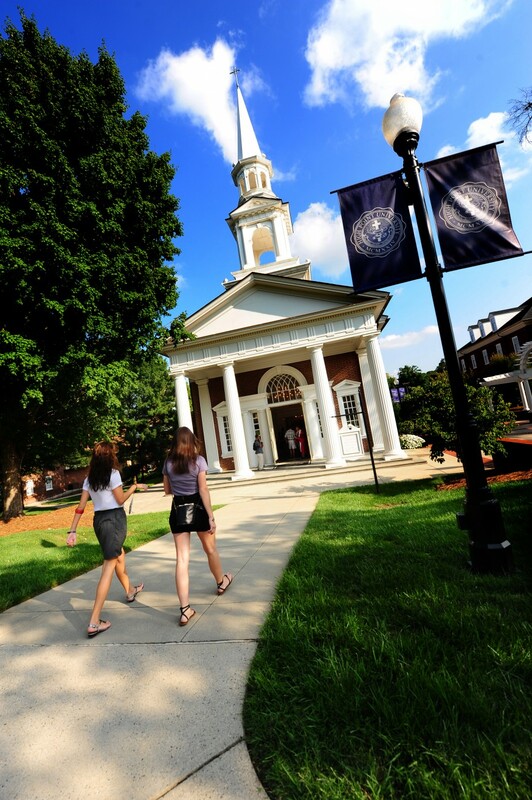 Wrenn Memorial Hall houses the office of Undergraduate Admissions, making it a bustling building that welcomes visitors to campus throughout the year. 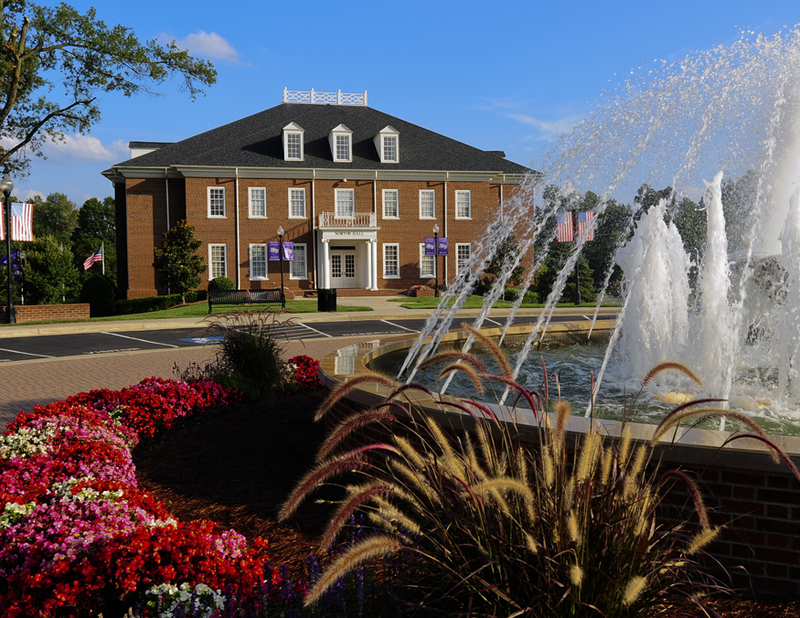 Thank you for visiting the High Point University Interactive Campus Tour! 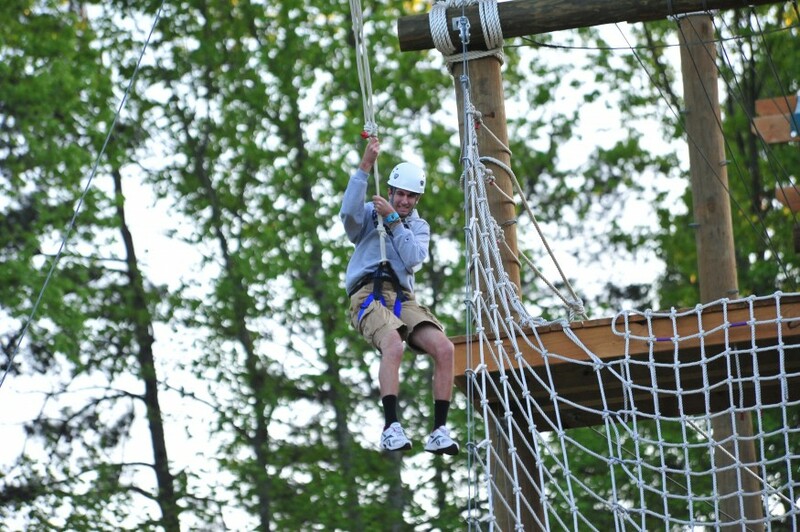 View photo and video highlights by clicking the pins on the map.